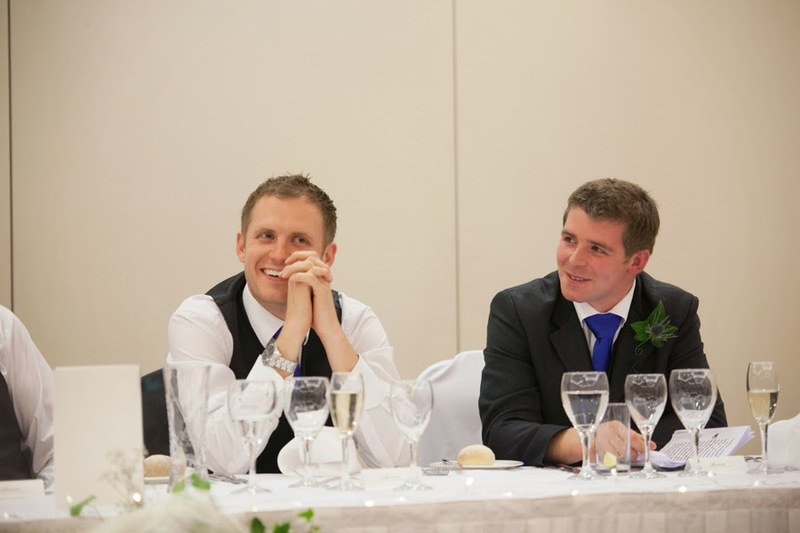 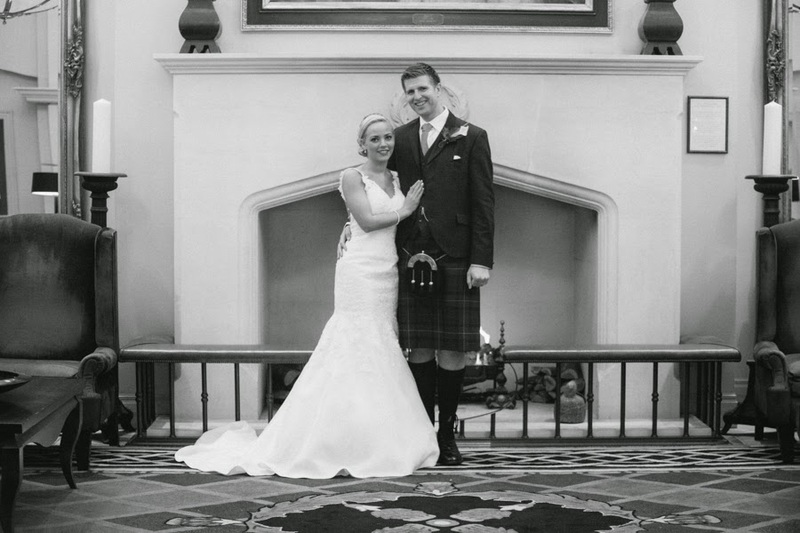 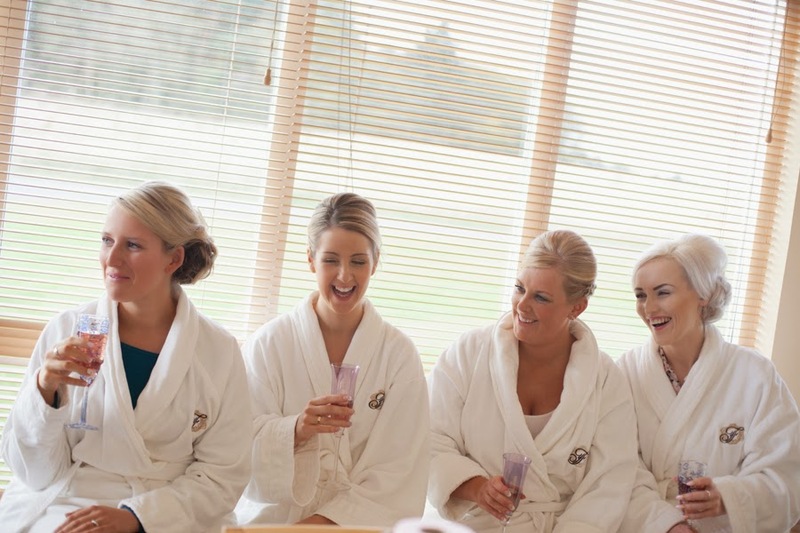 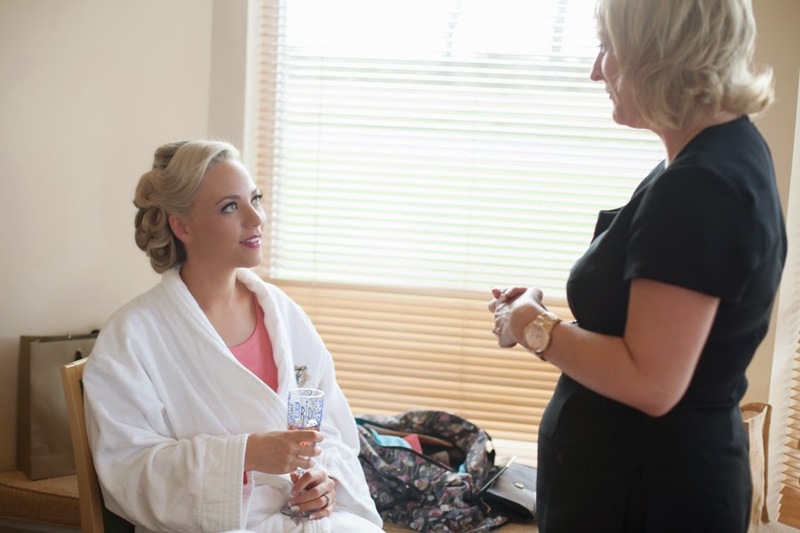 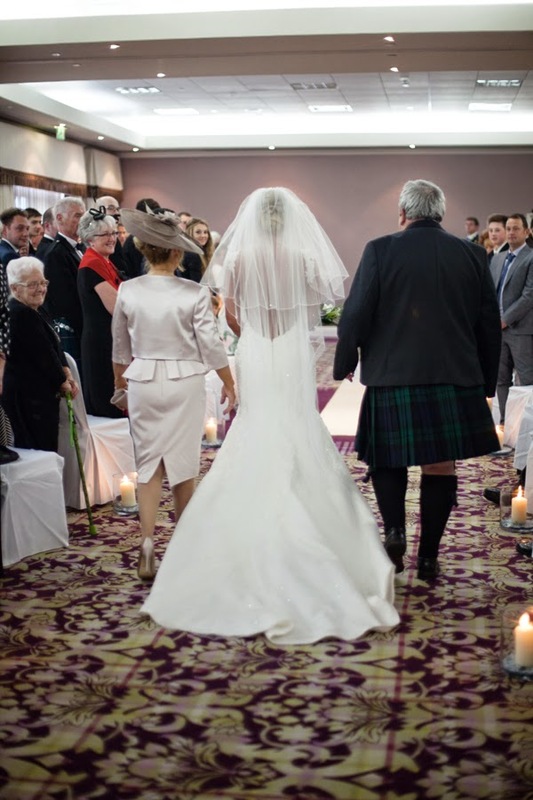 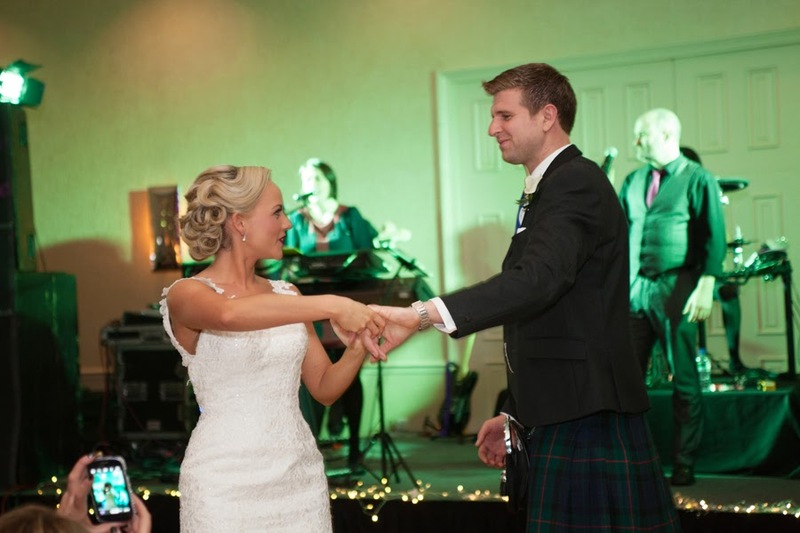 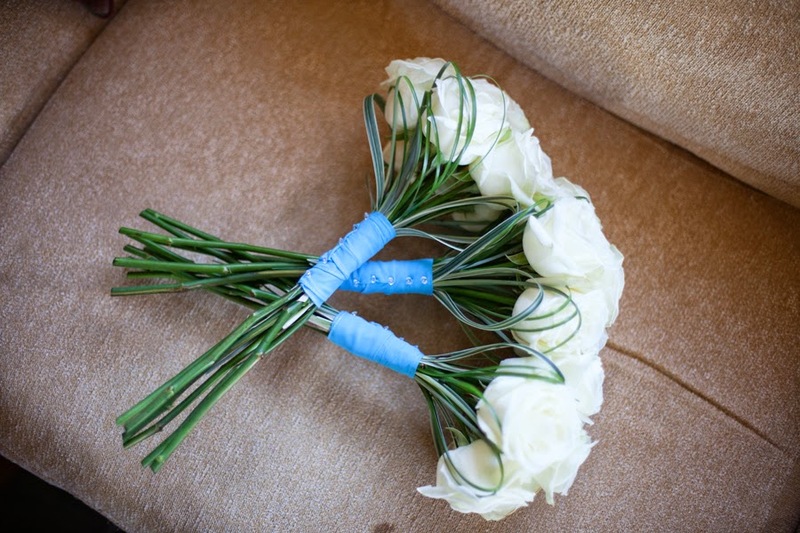 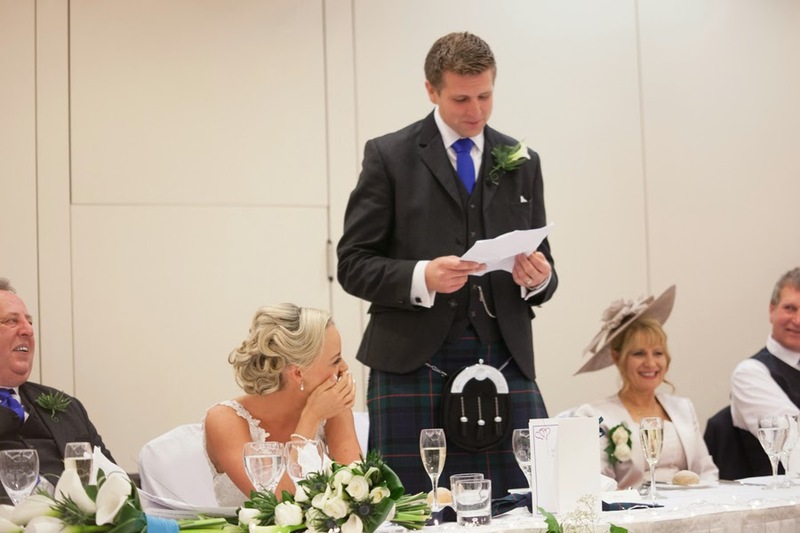 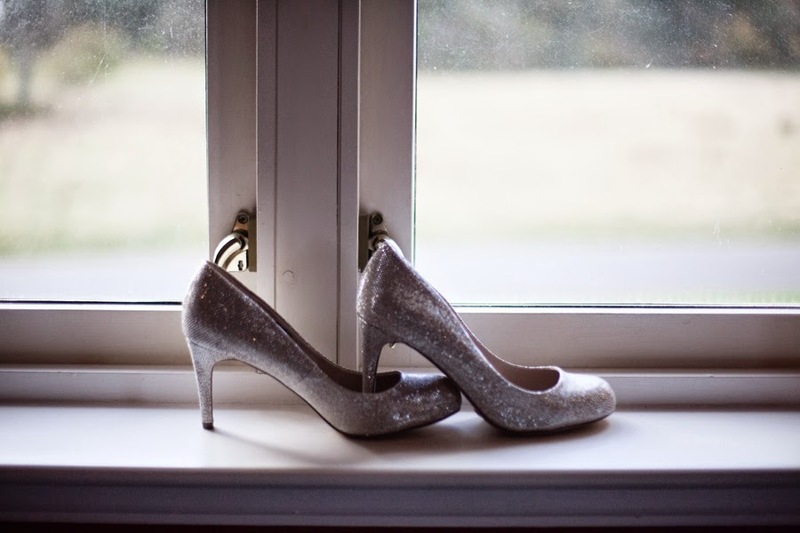 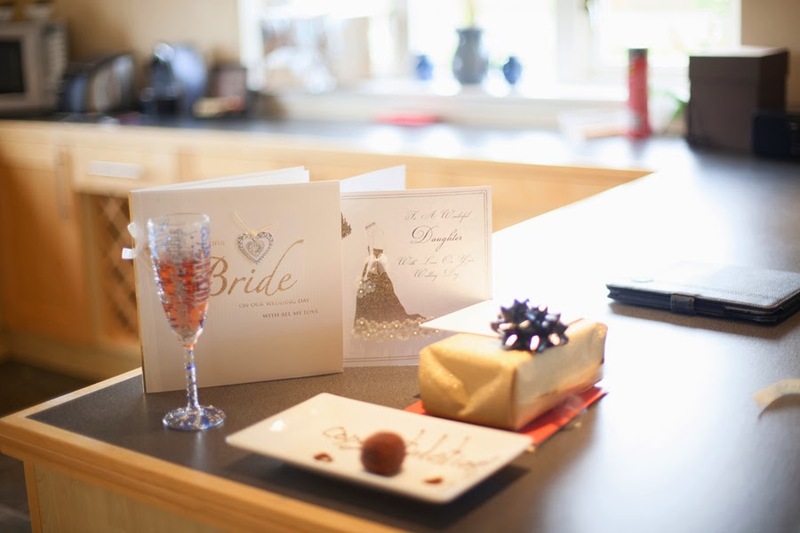 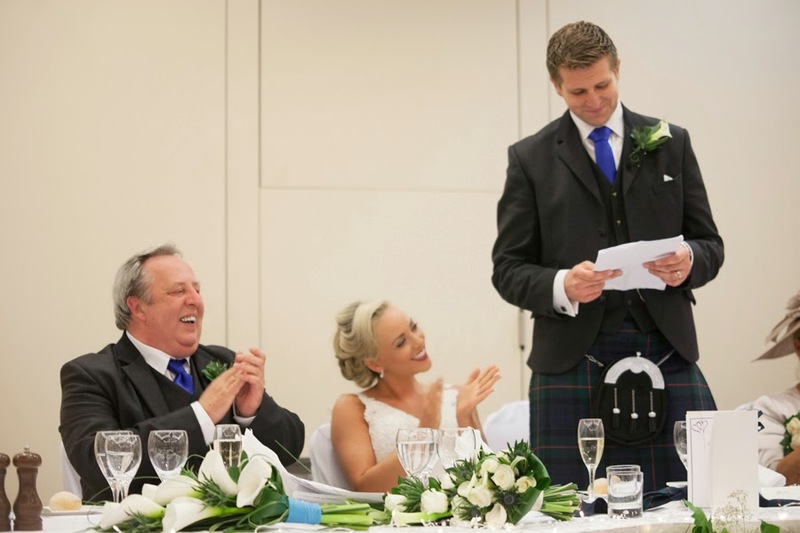 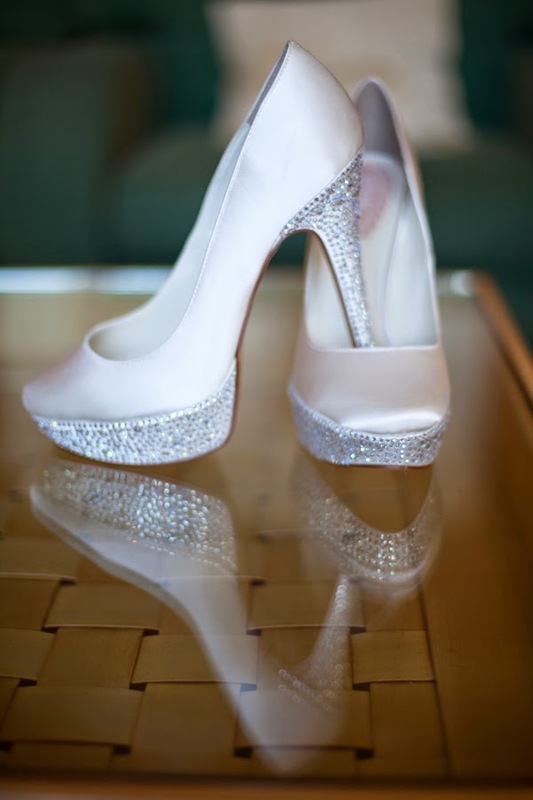 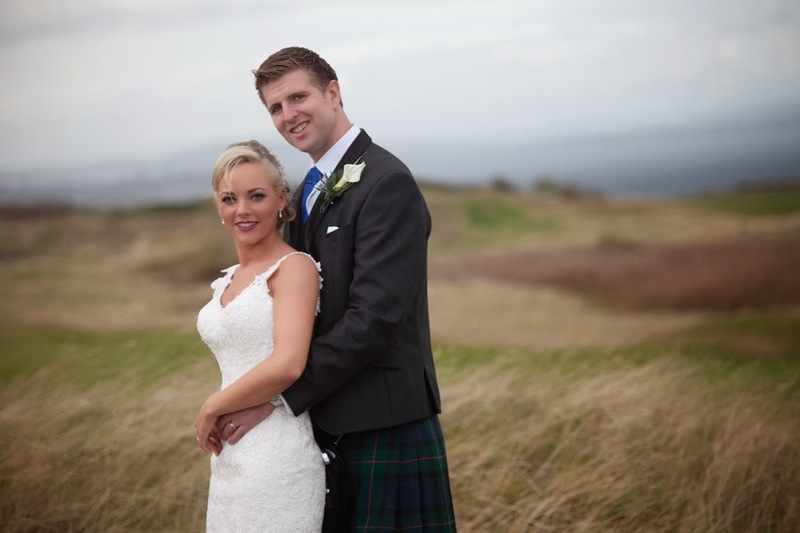 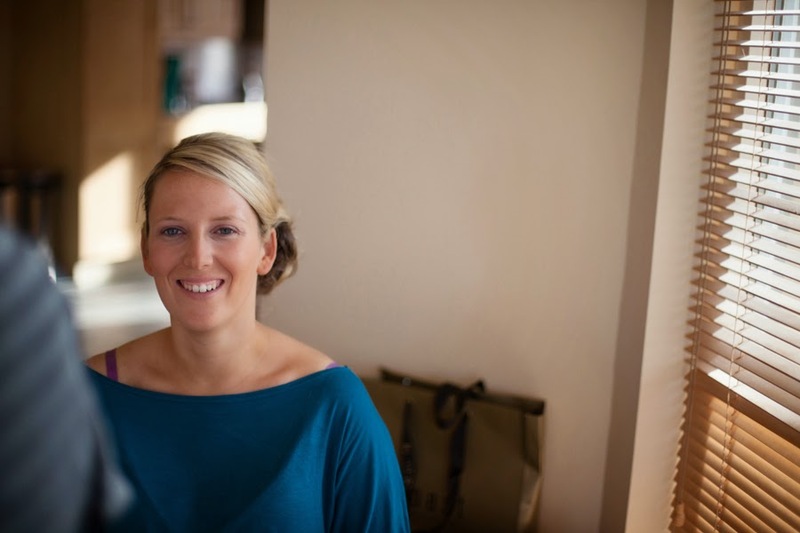 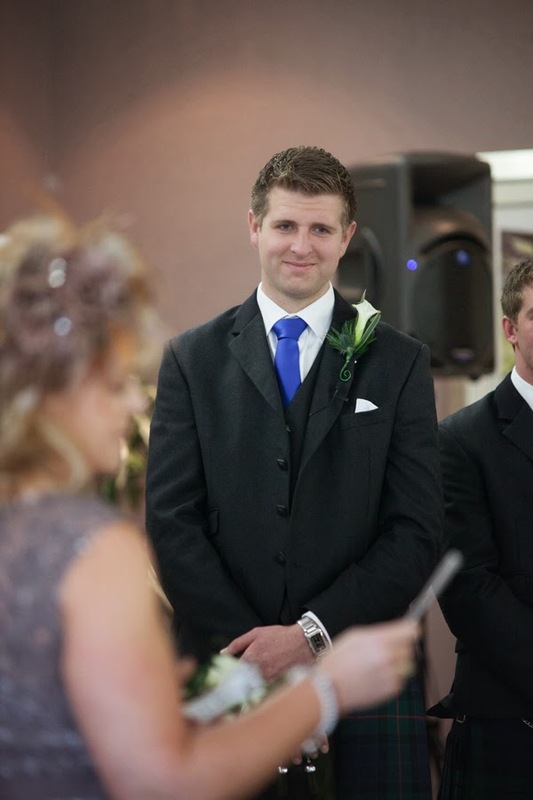 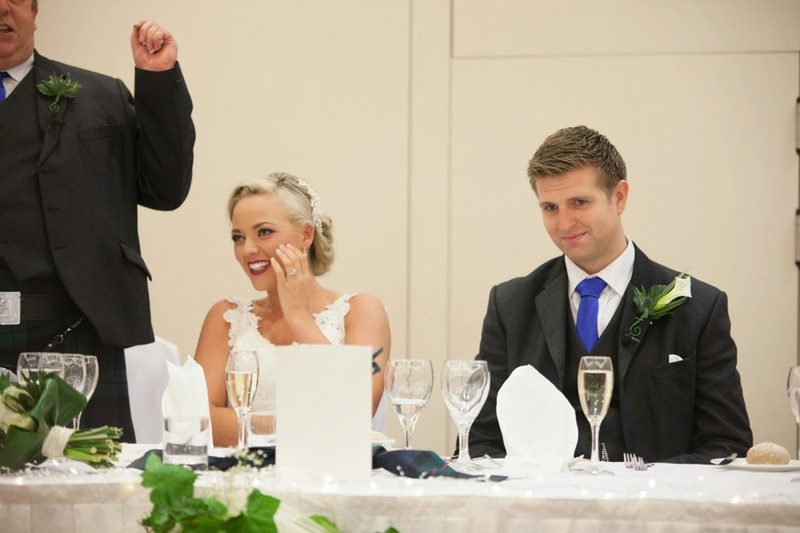 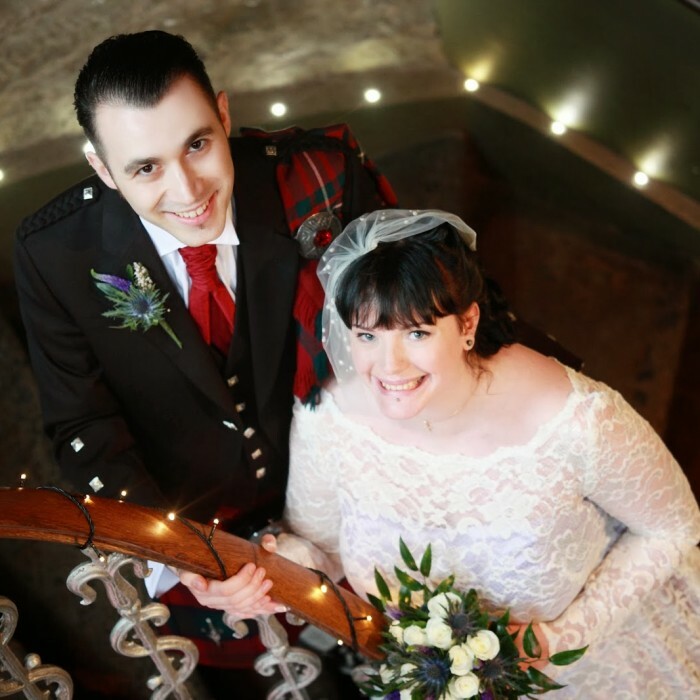 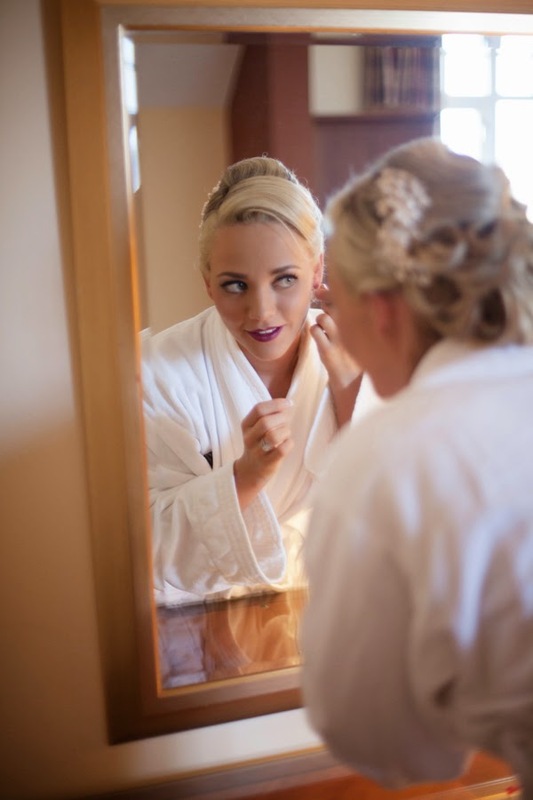 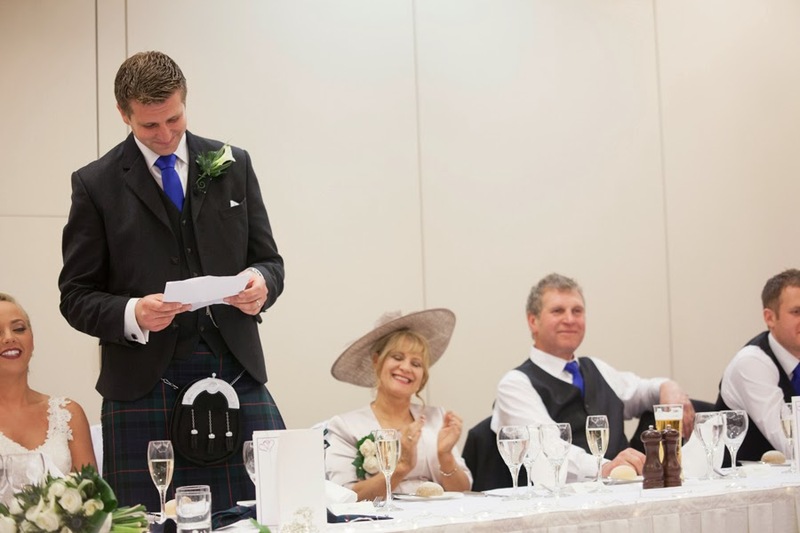 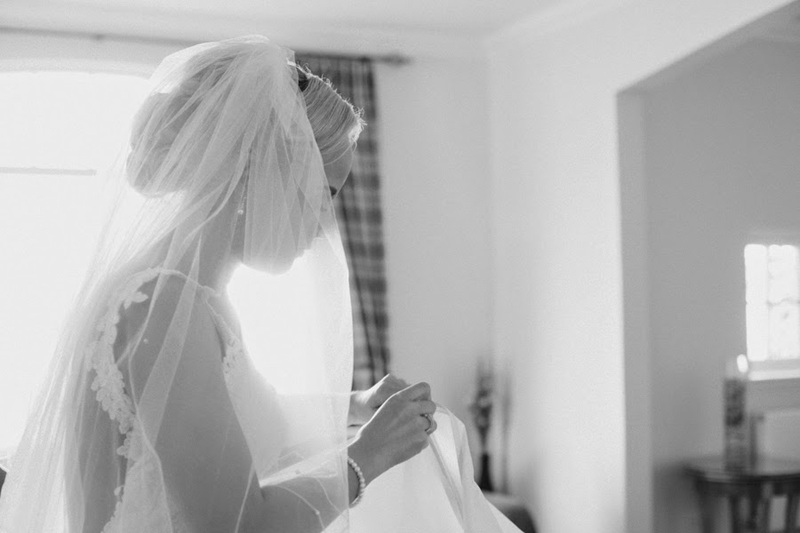 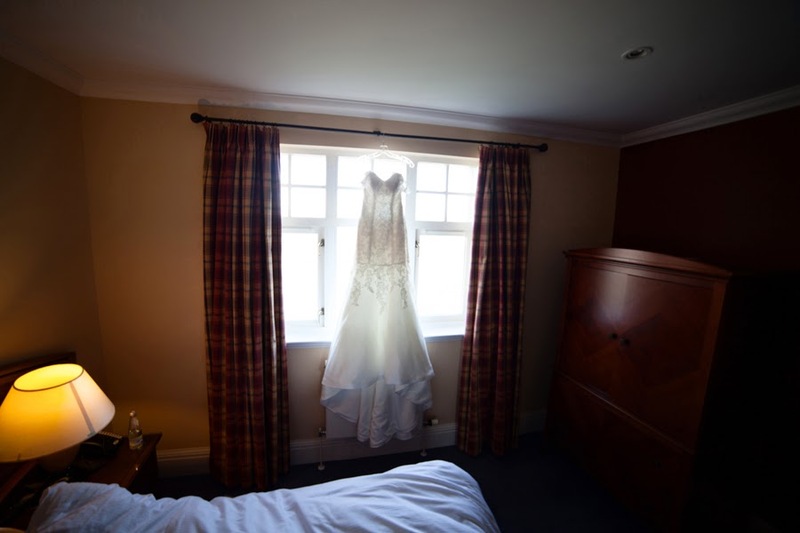 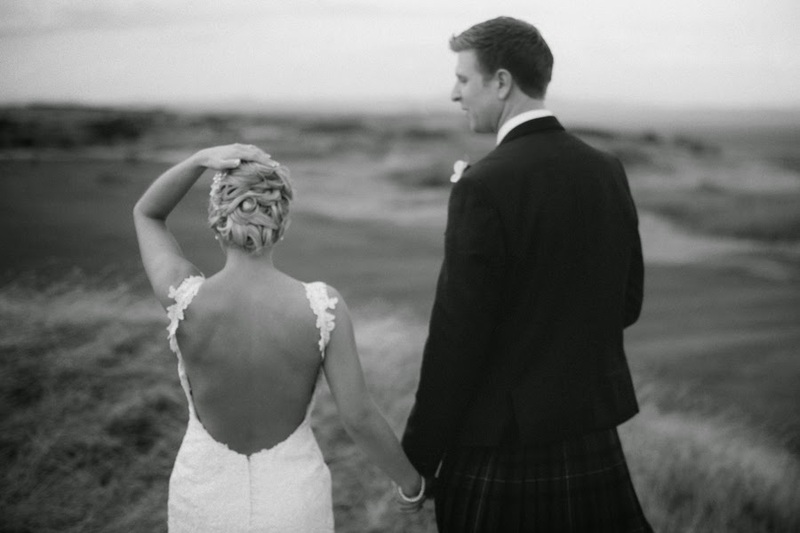 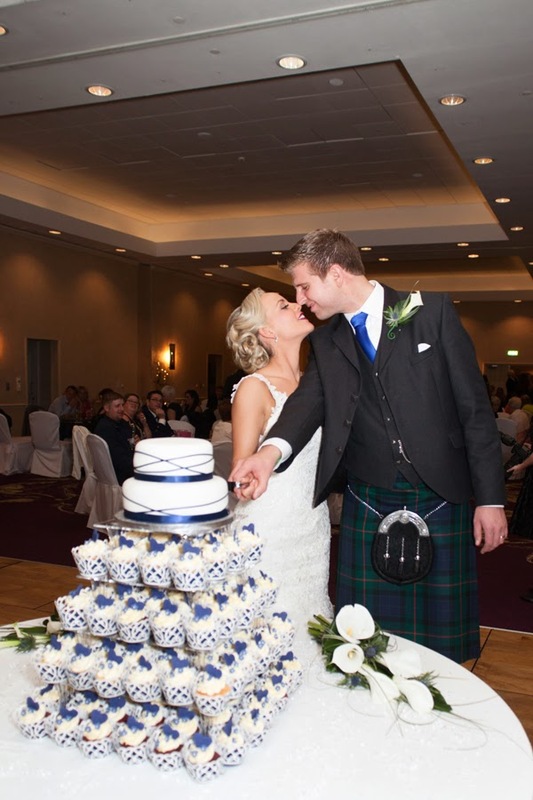 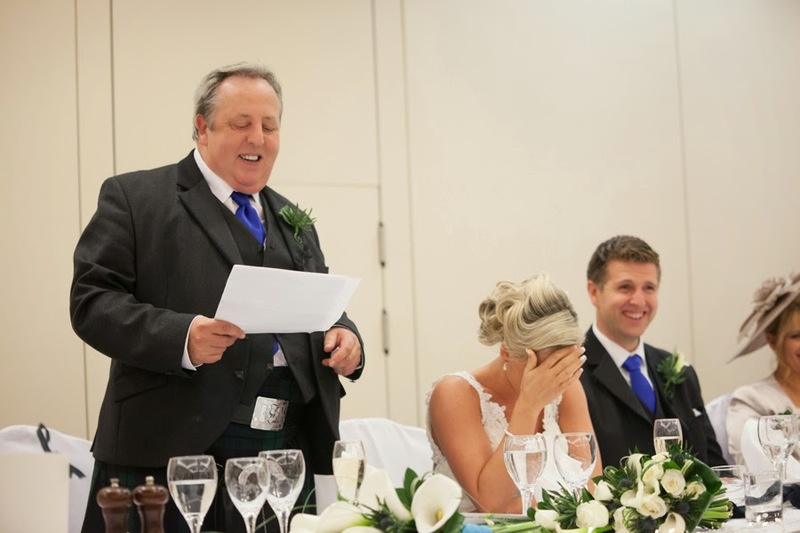 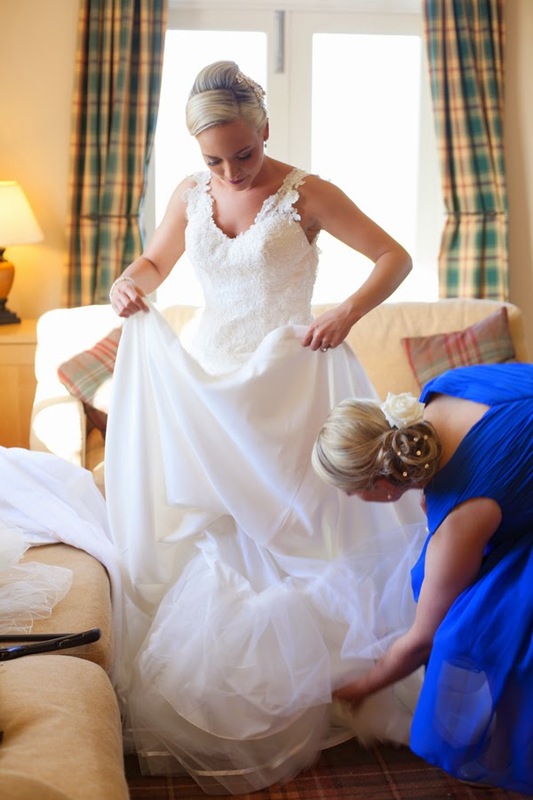 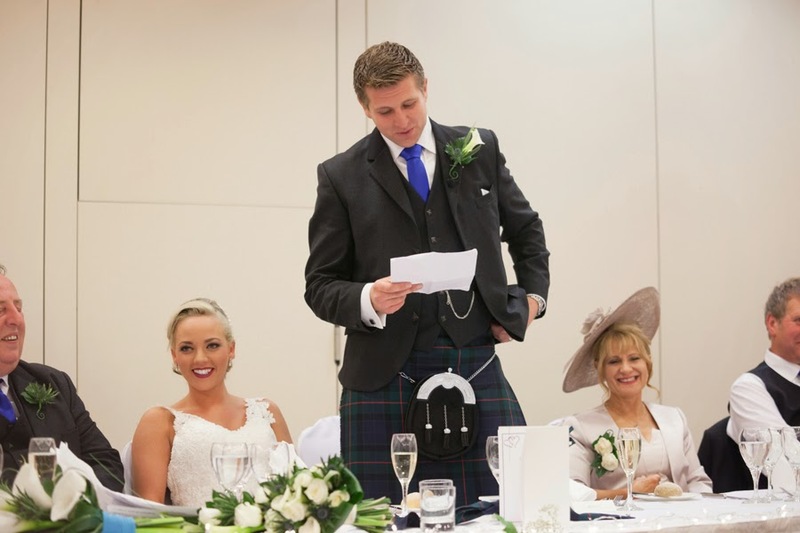 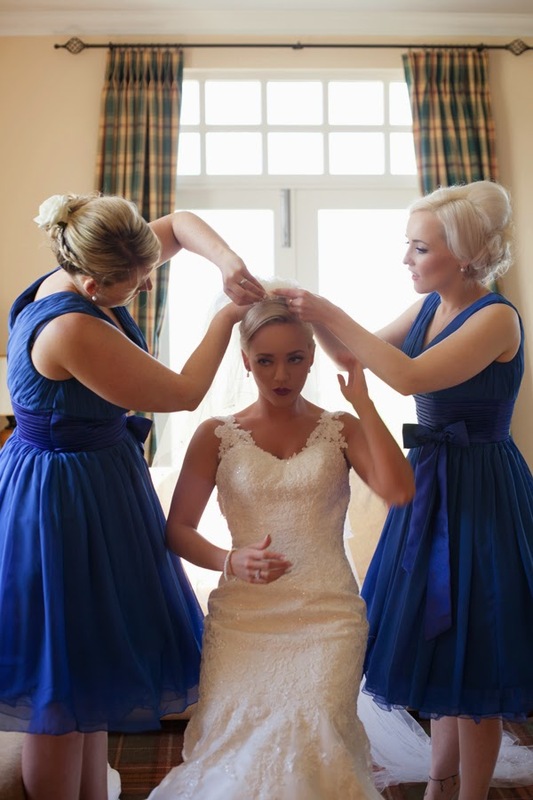 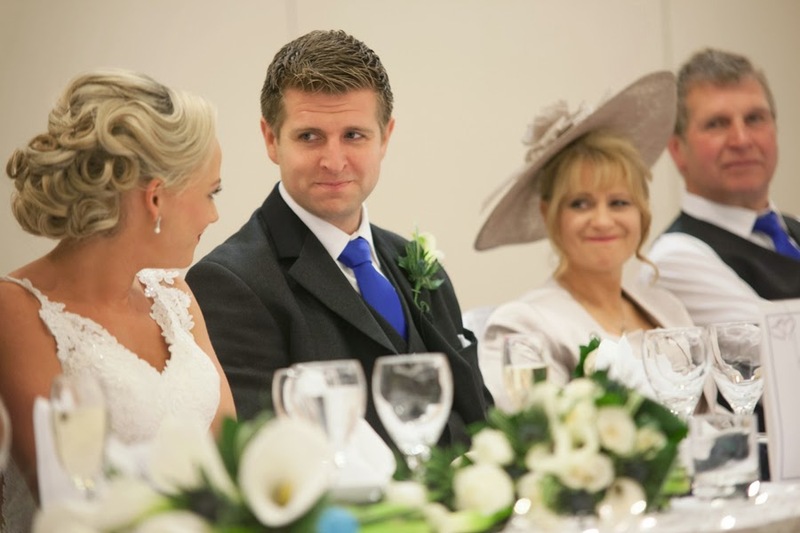 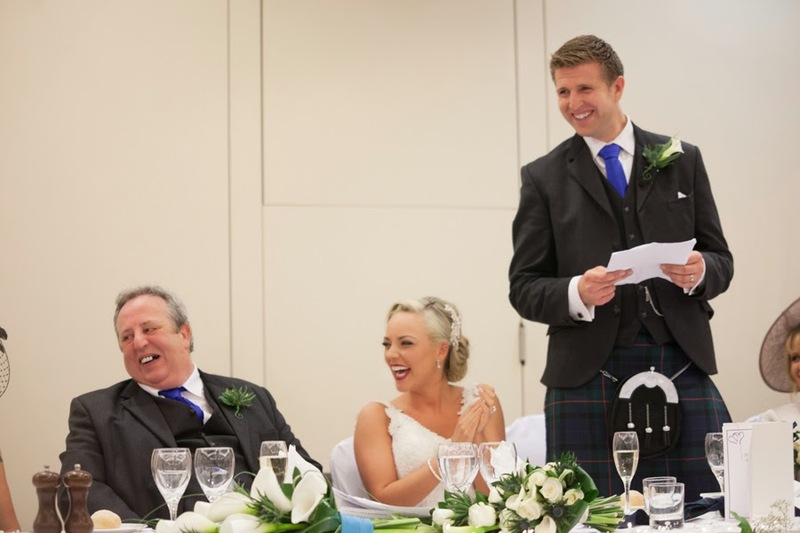 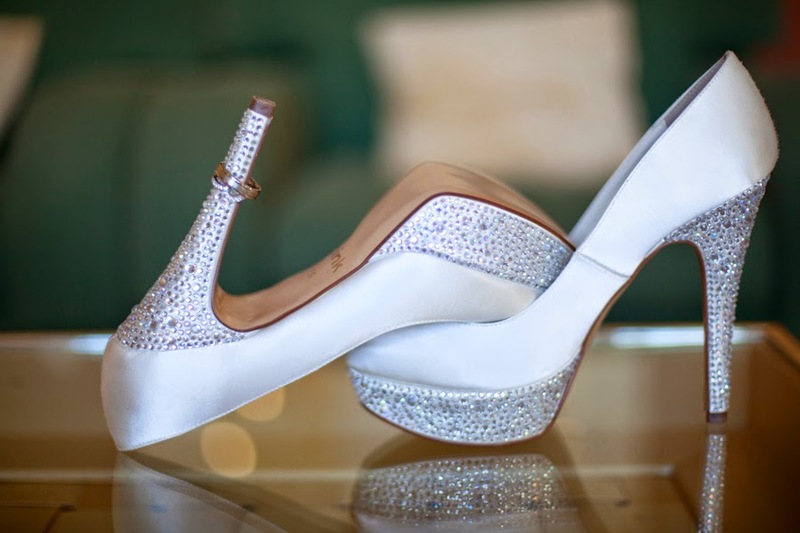 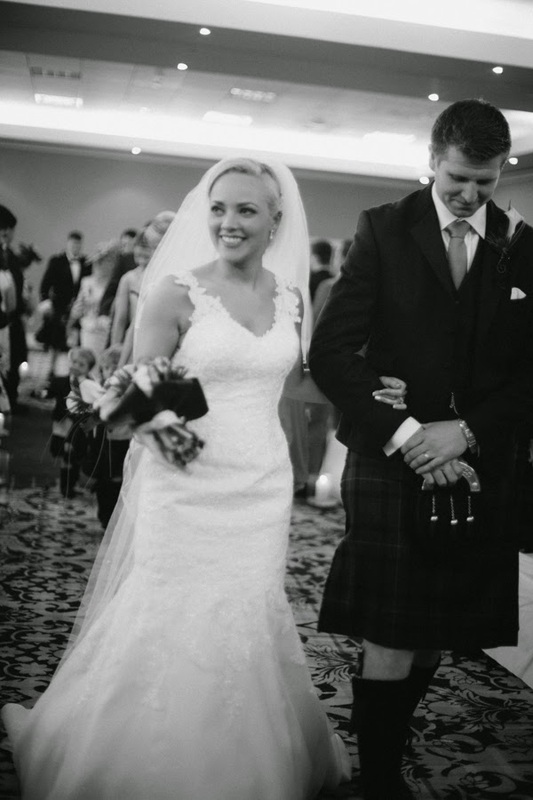 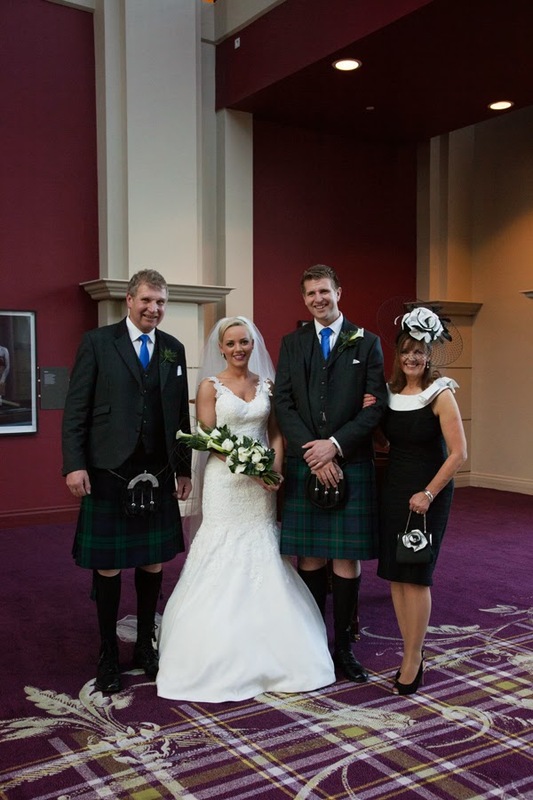 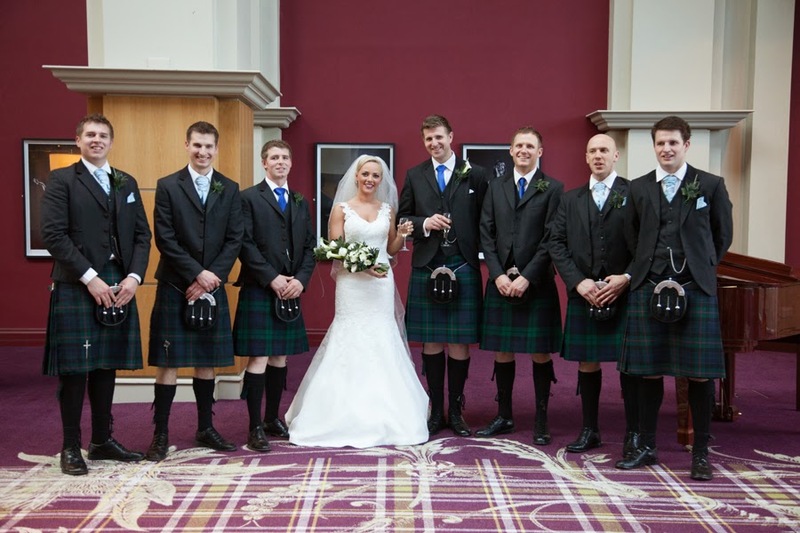 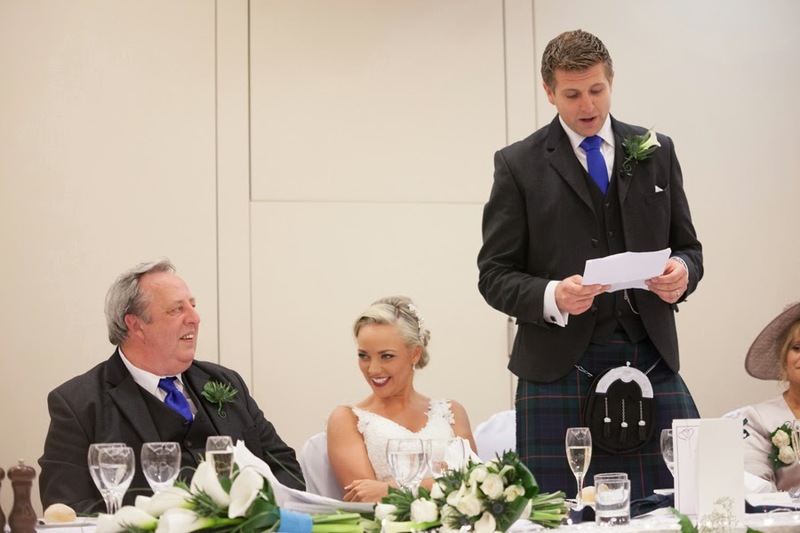 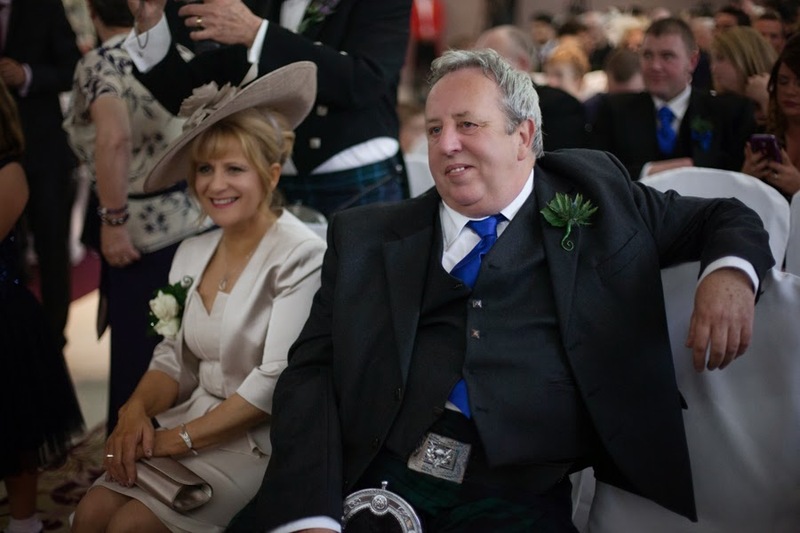 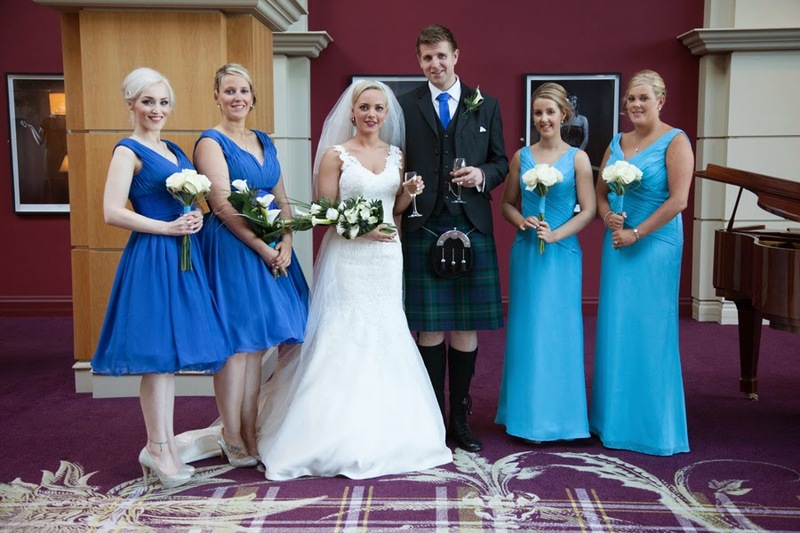 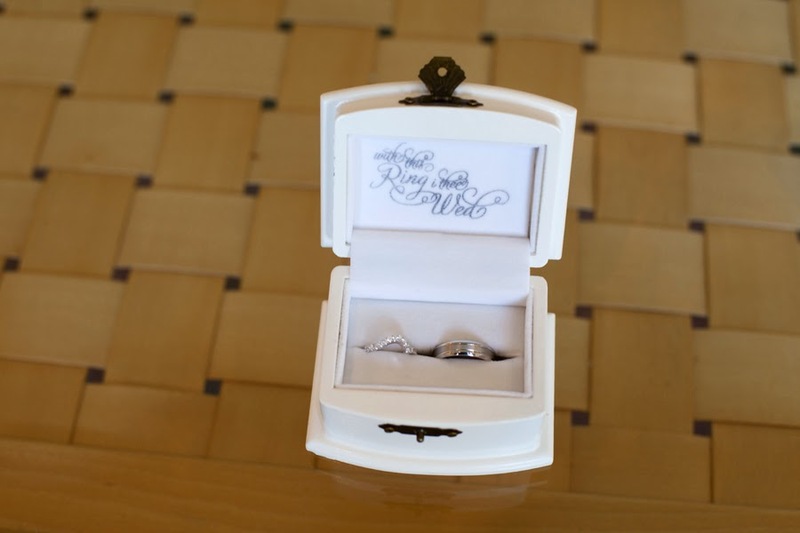 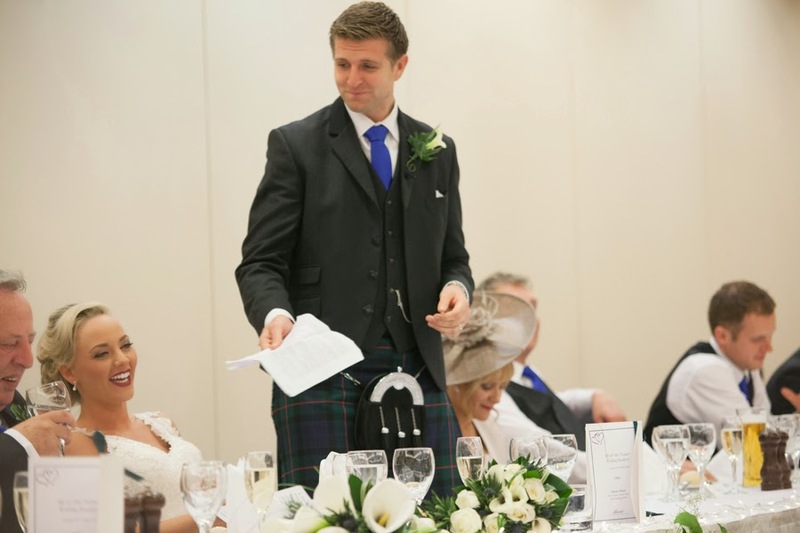 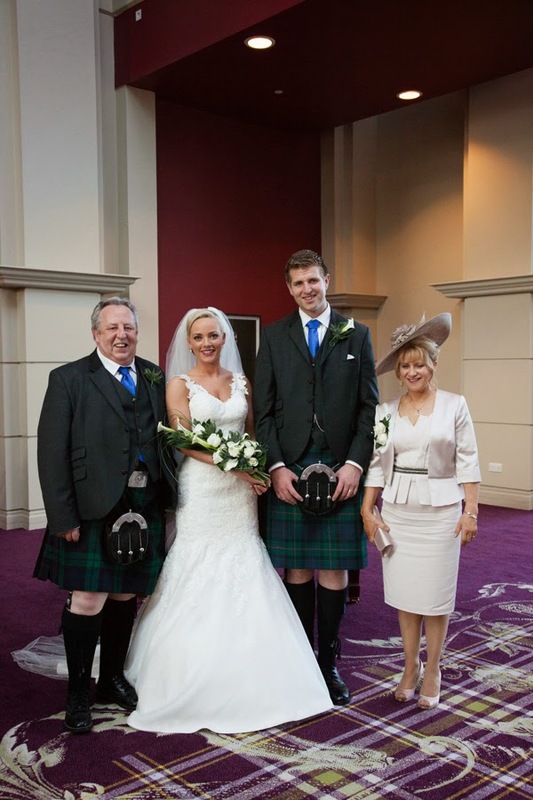 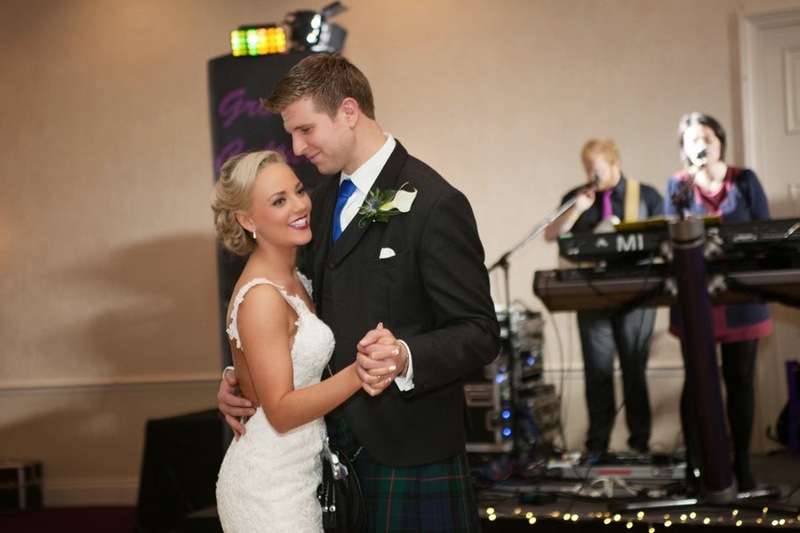 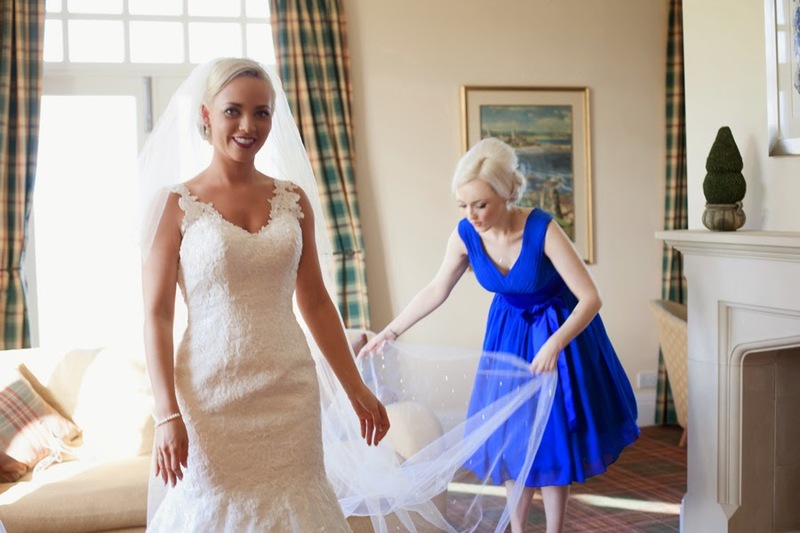 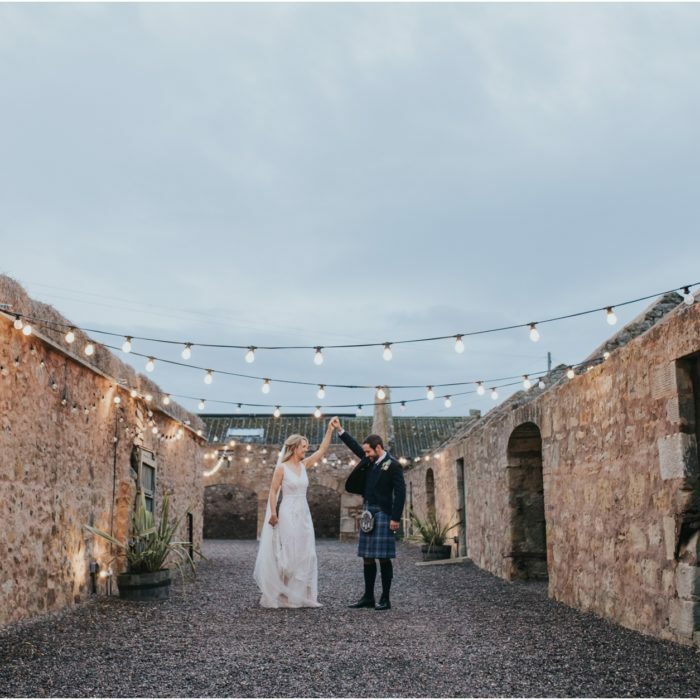 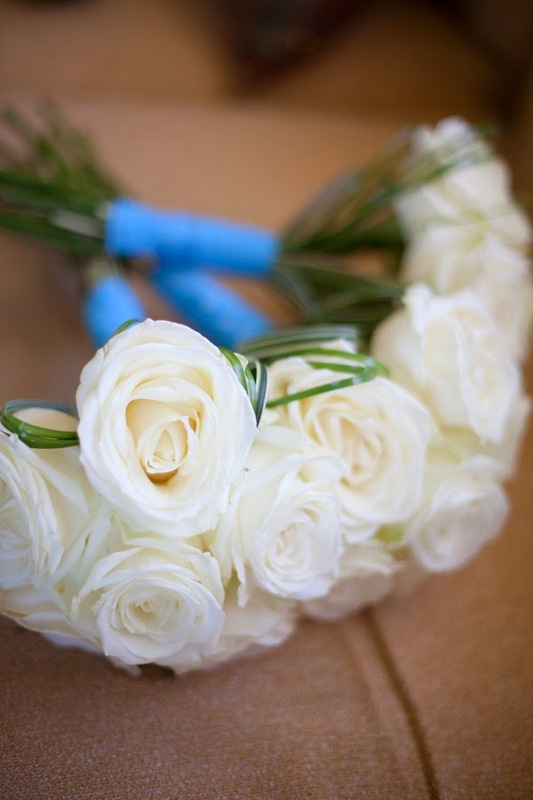 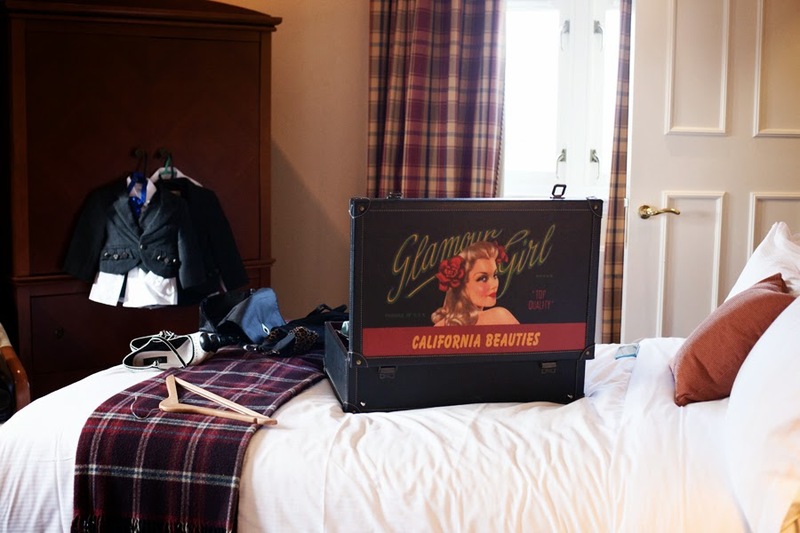 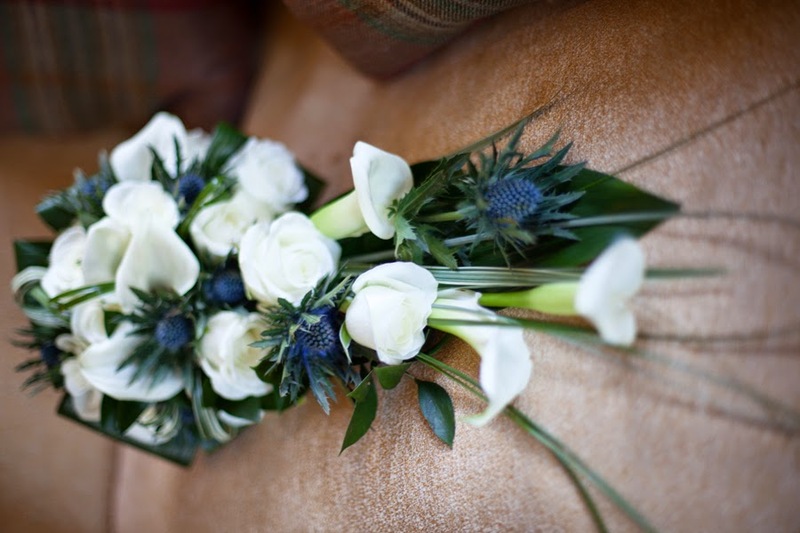 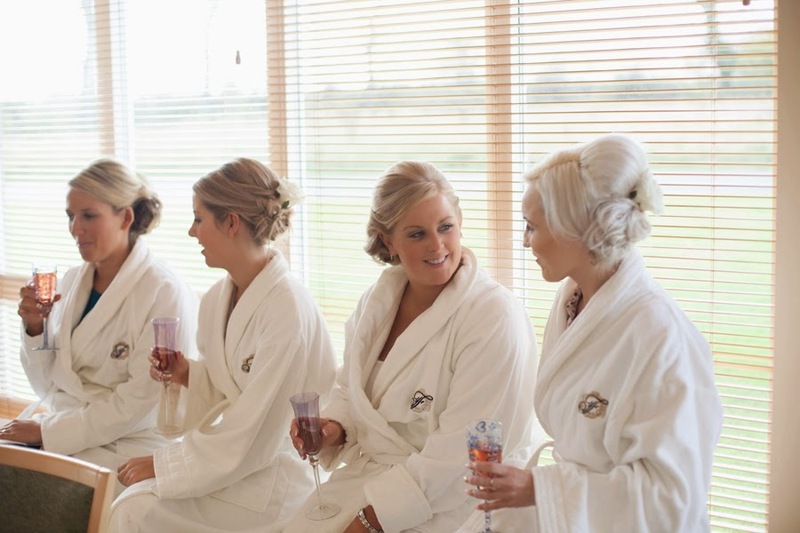 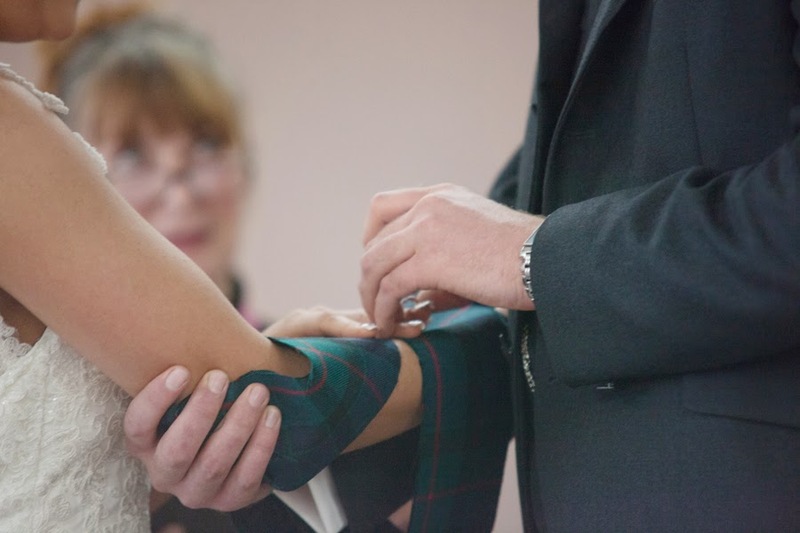 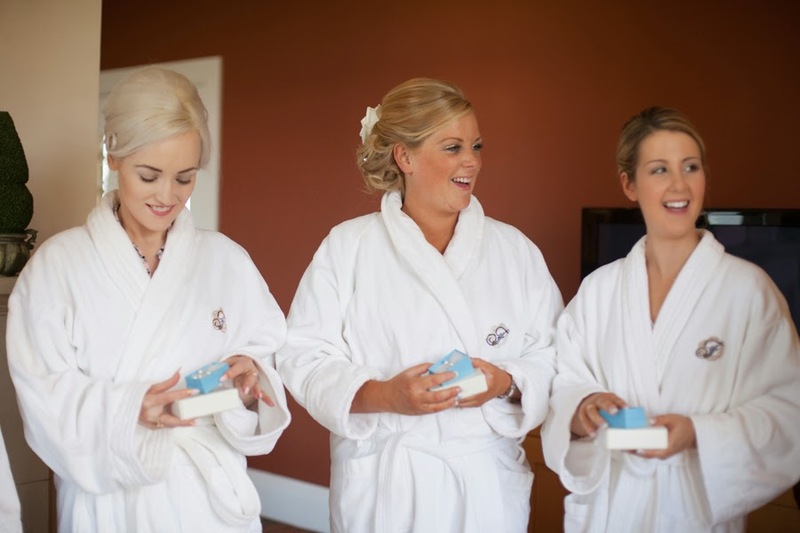 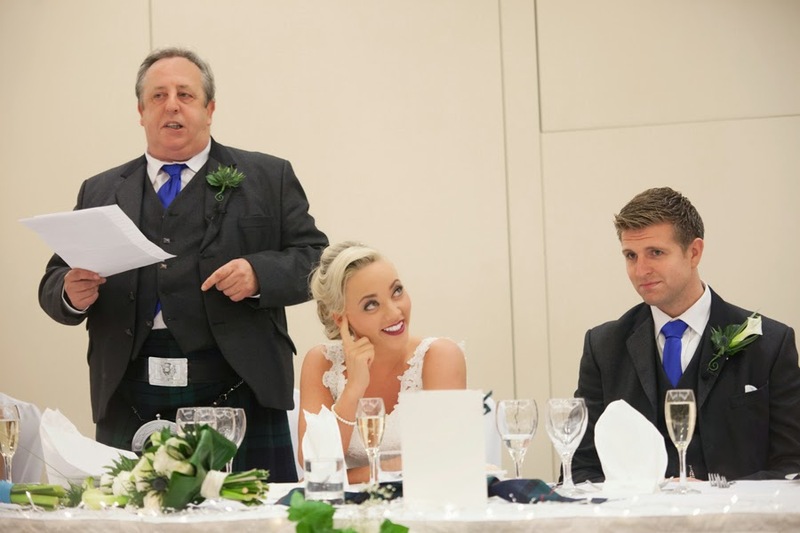 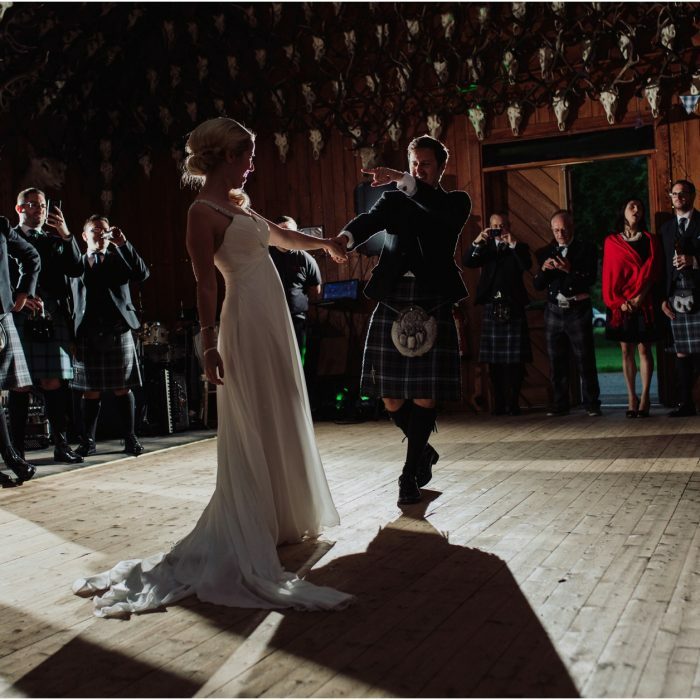 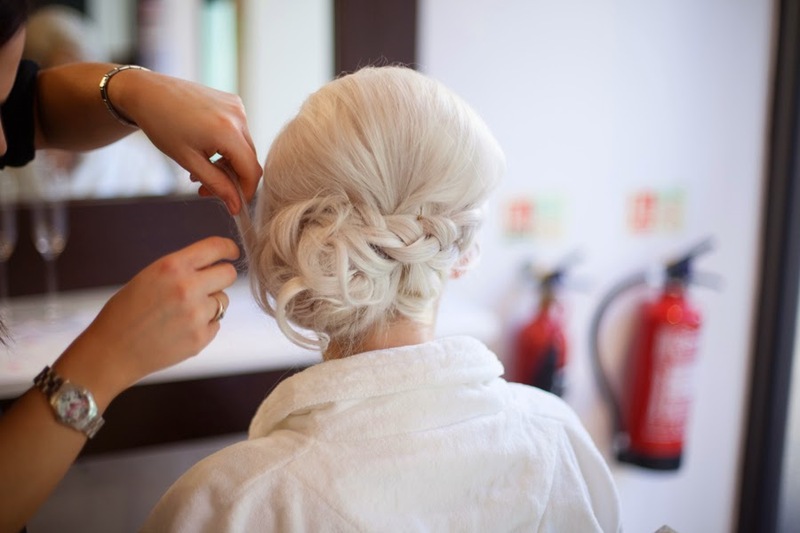 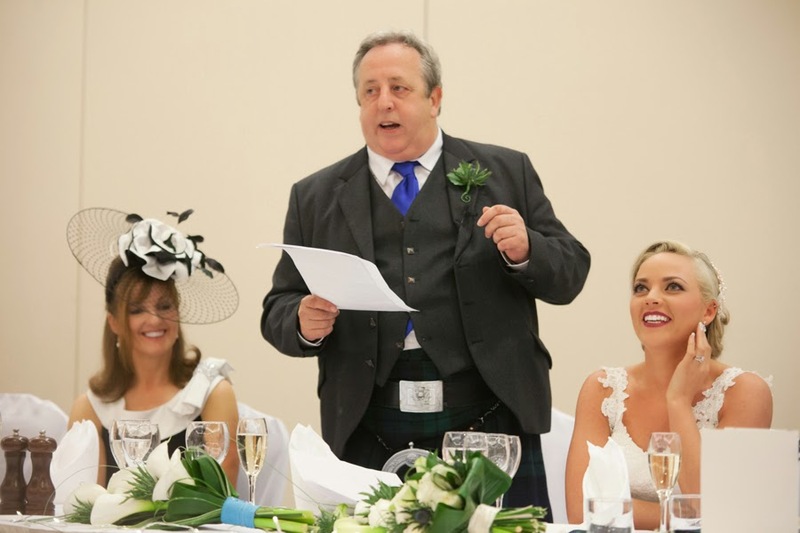 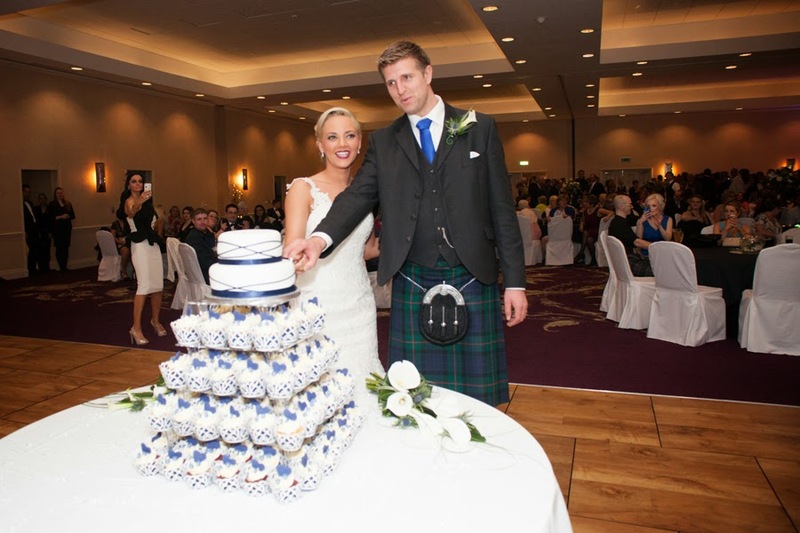 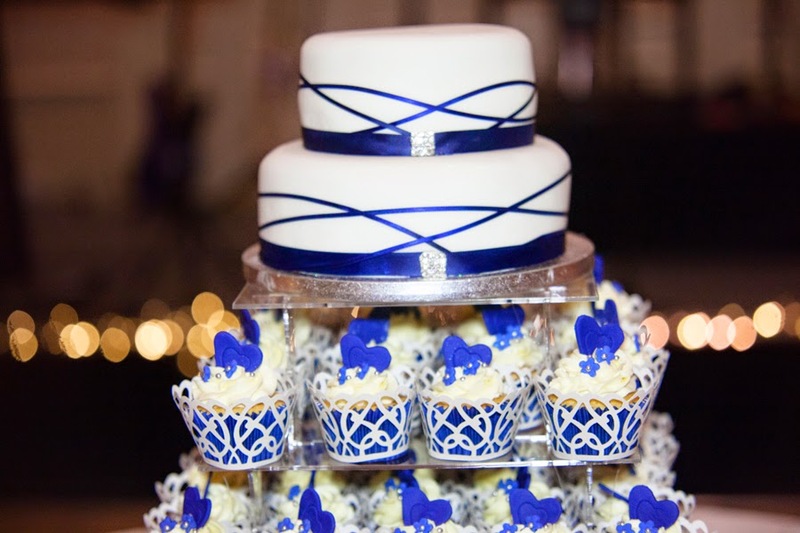 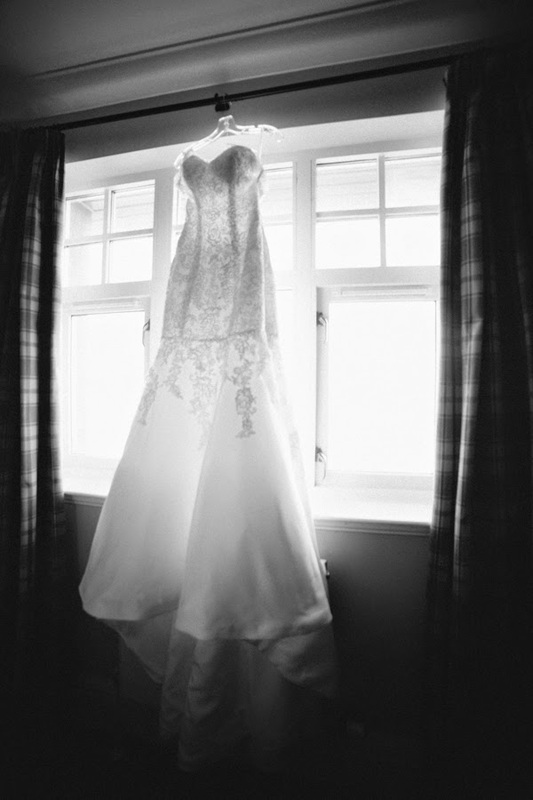 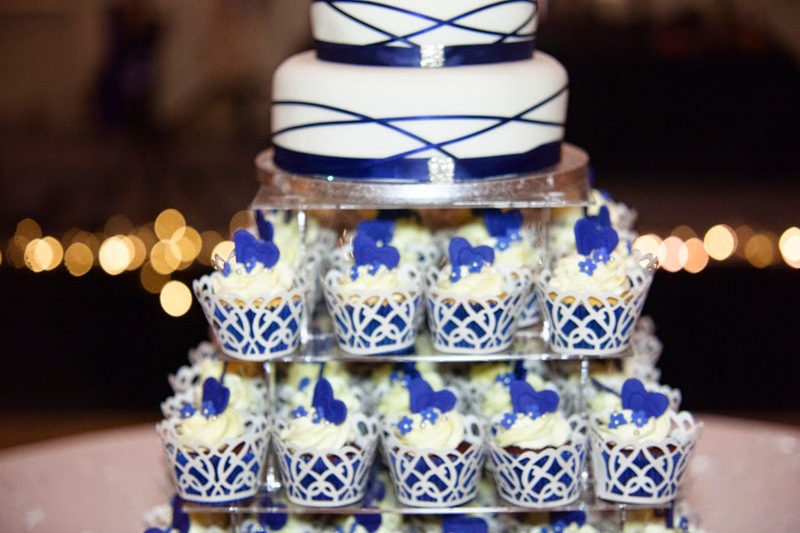 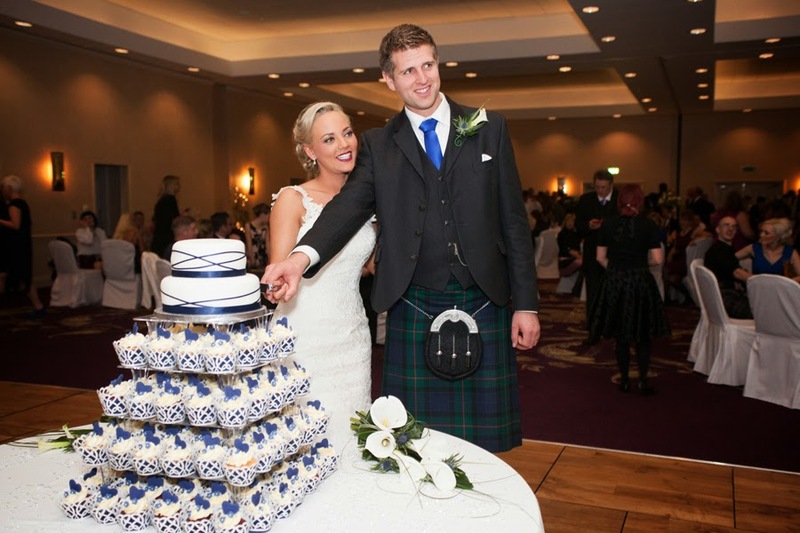 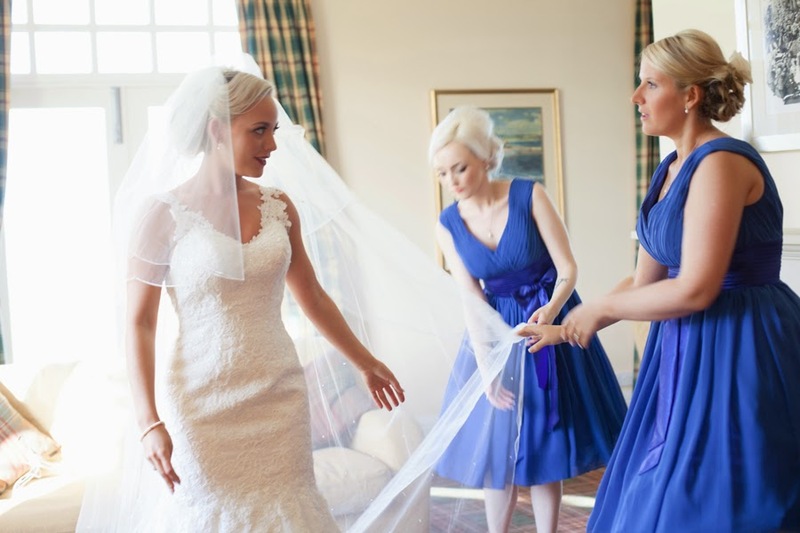 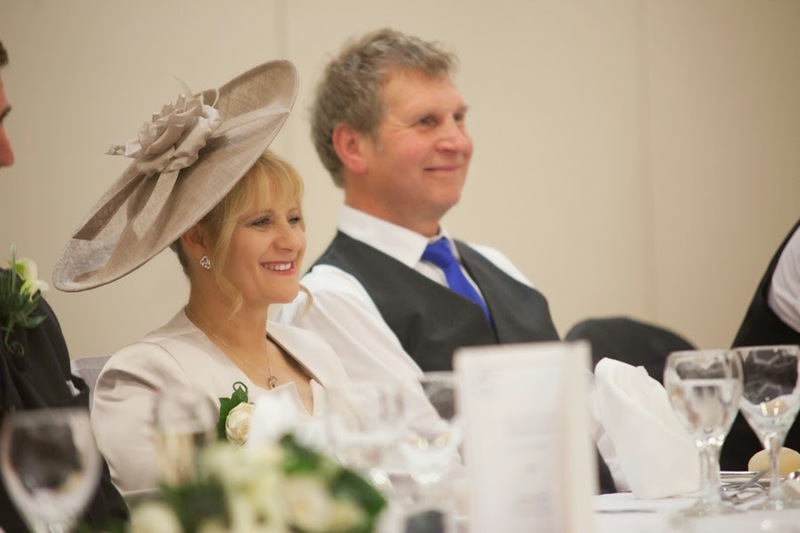 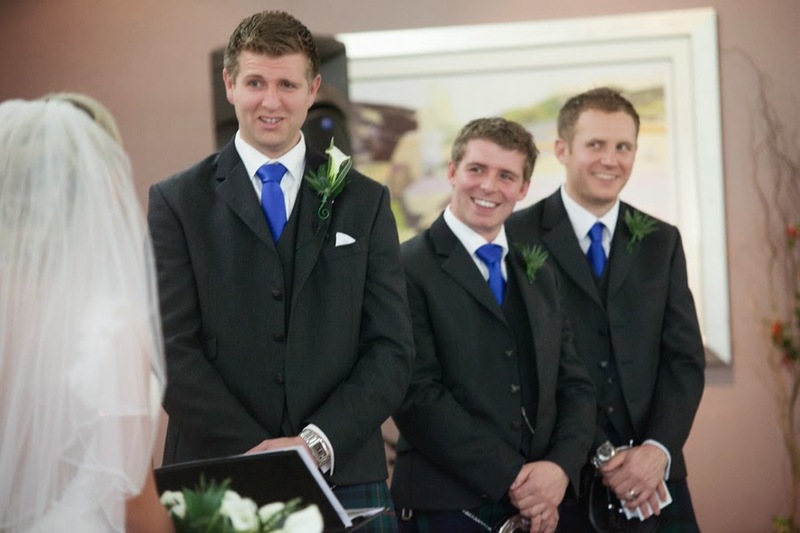 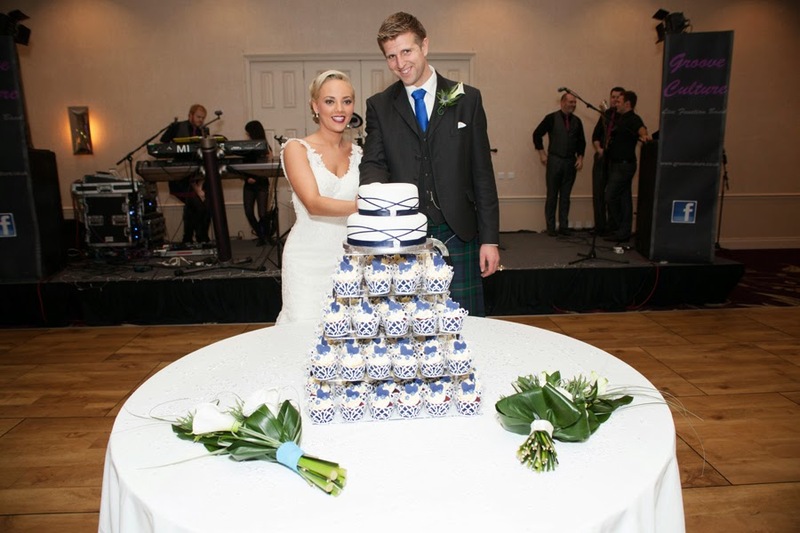 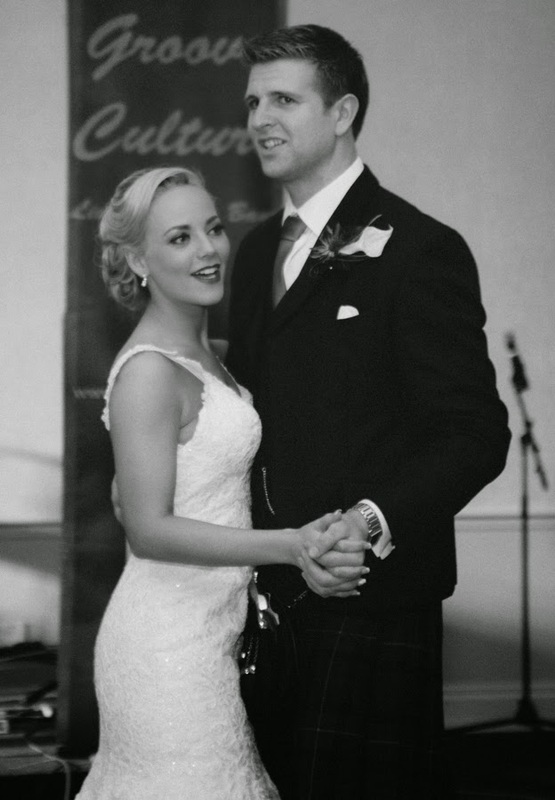 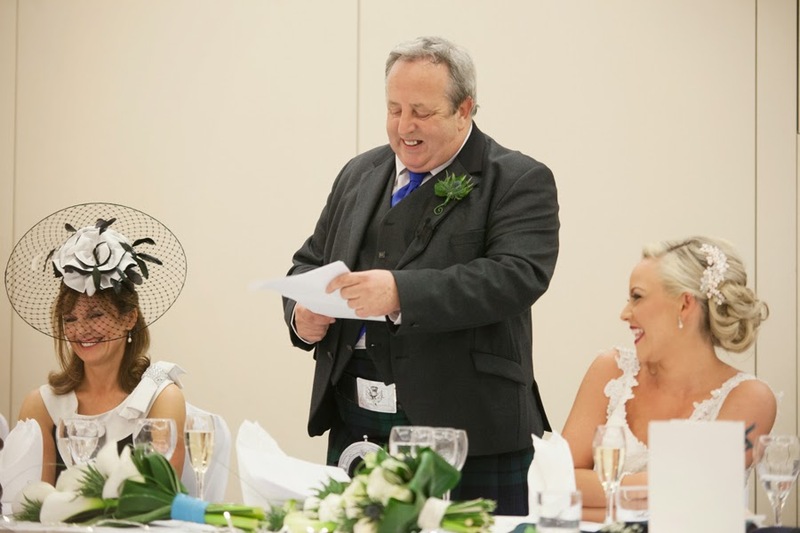 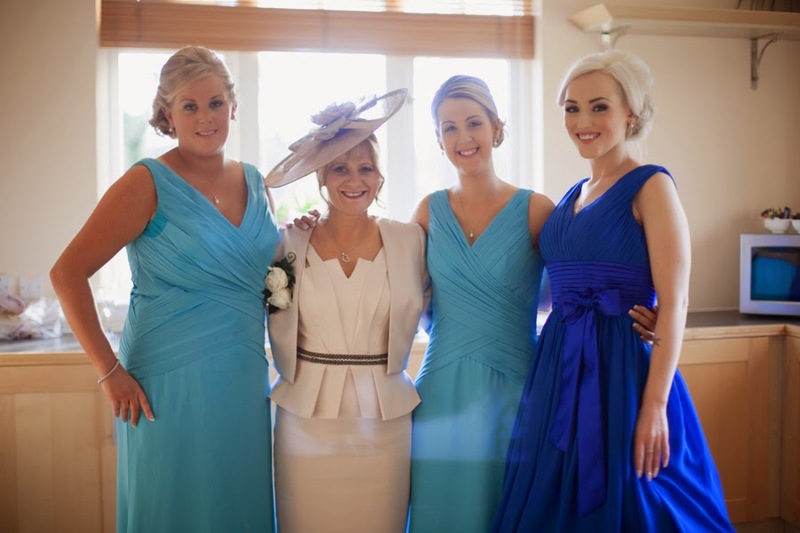 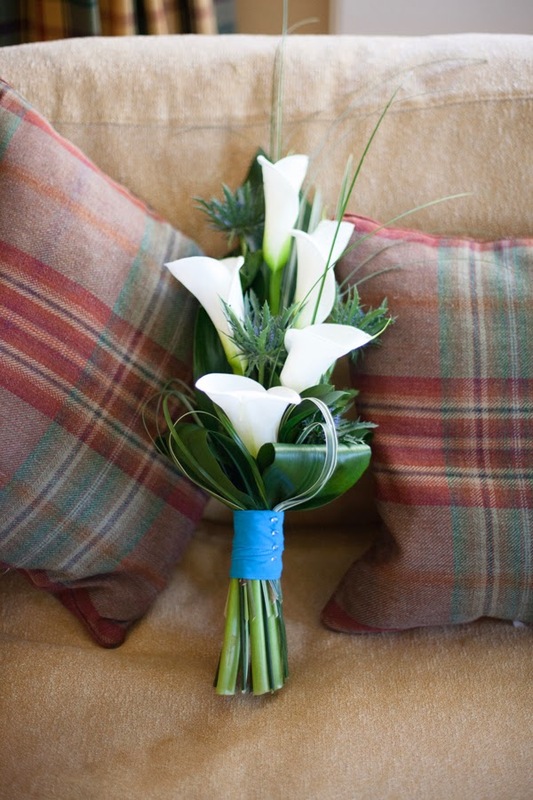 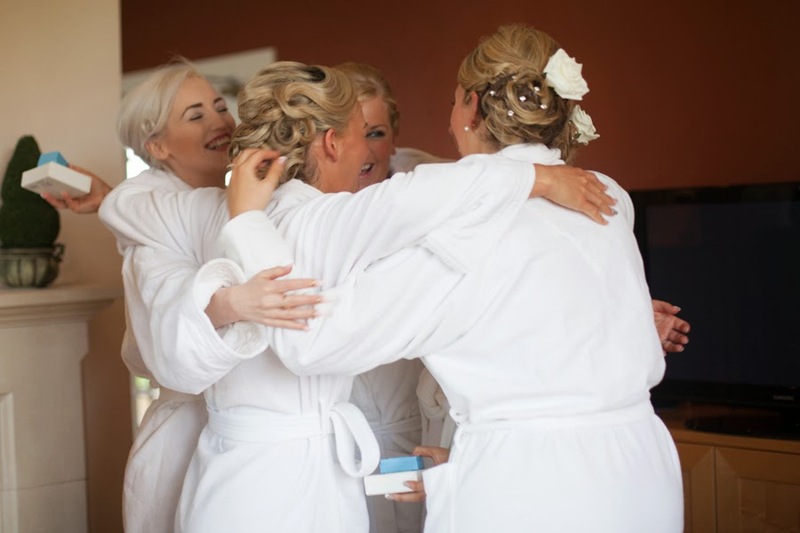 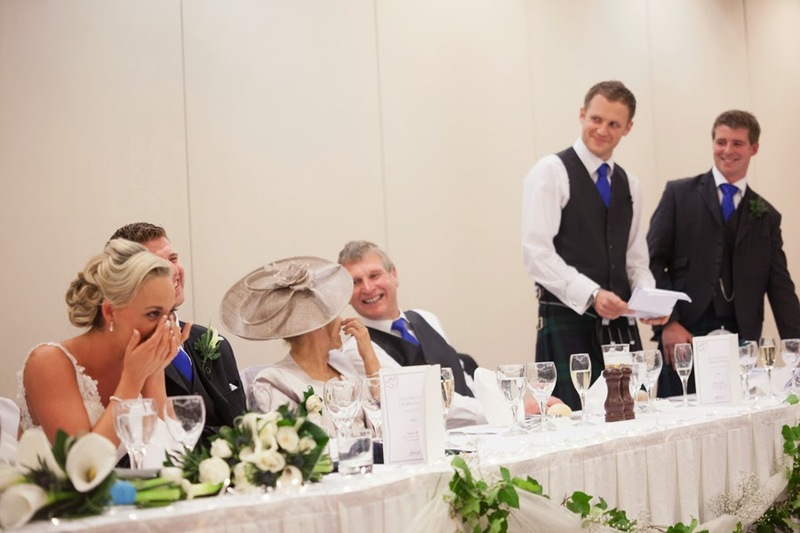 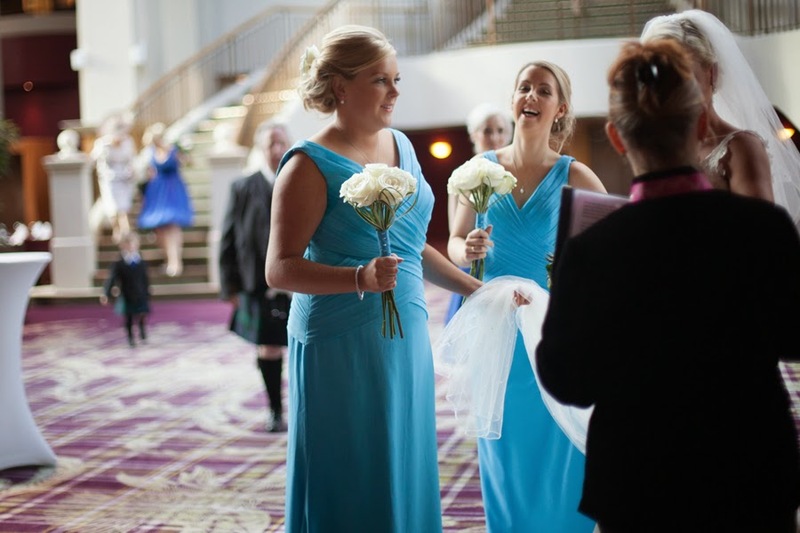 EDINBURGH WEDDING PHOTOGRAPHER – Gorgeous Fairmont St Andrews Wedding with the perfect couple. 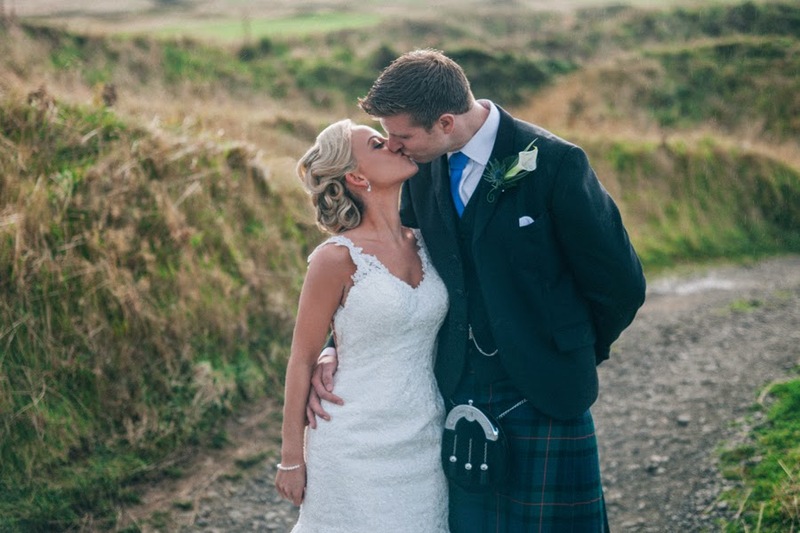 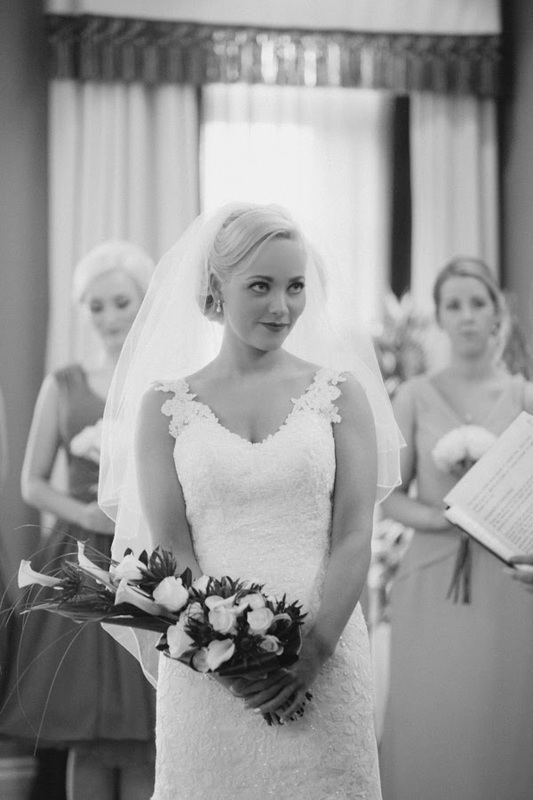 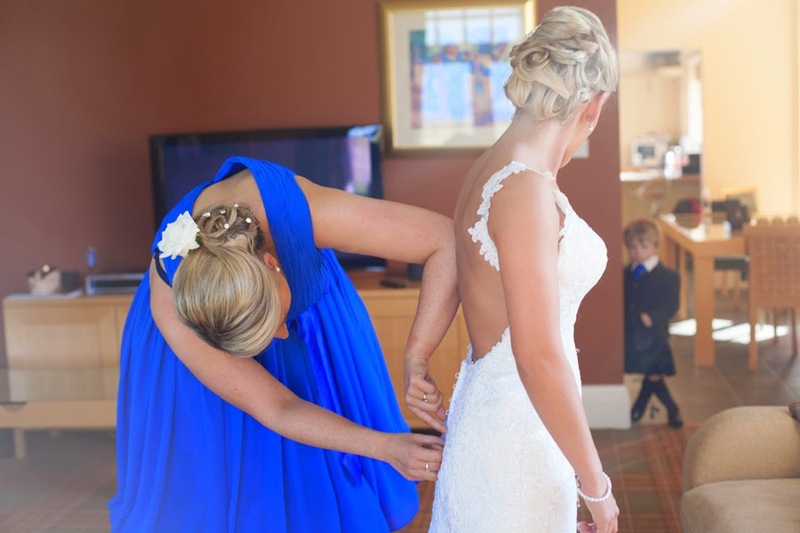 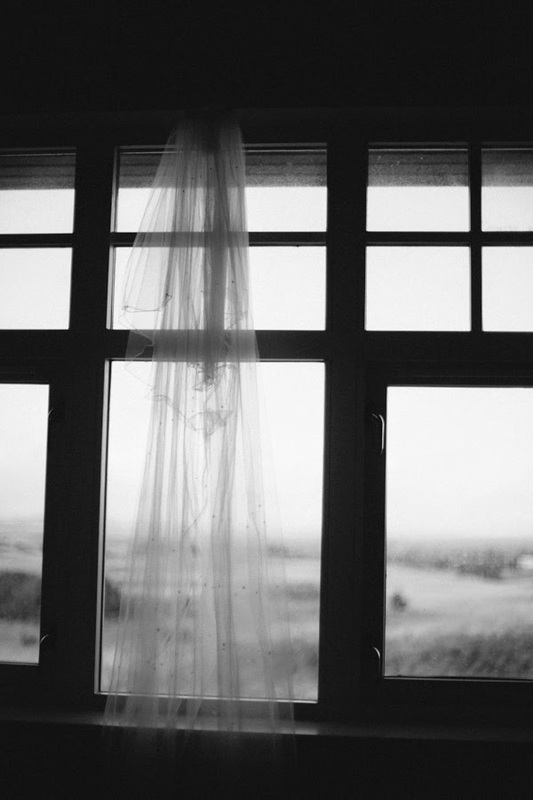 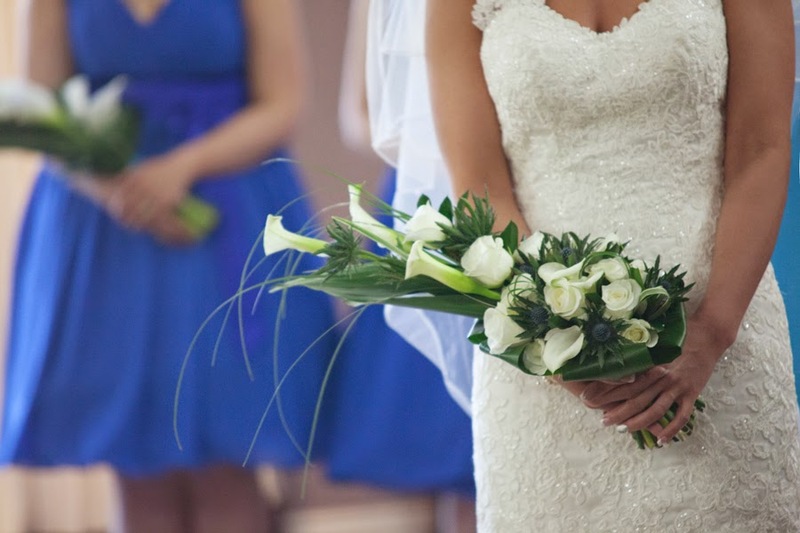 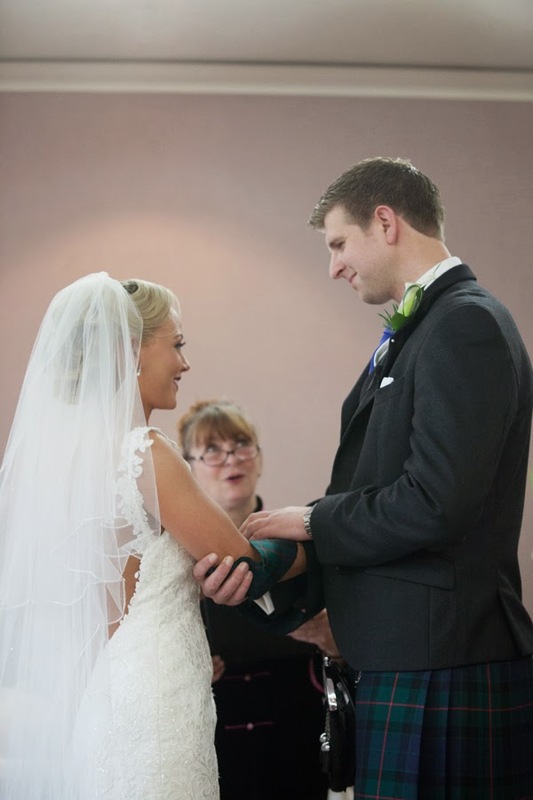 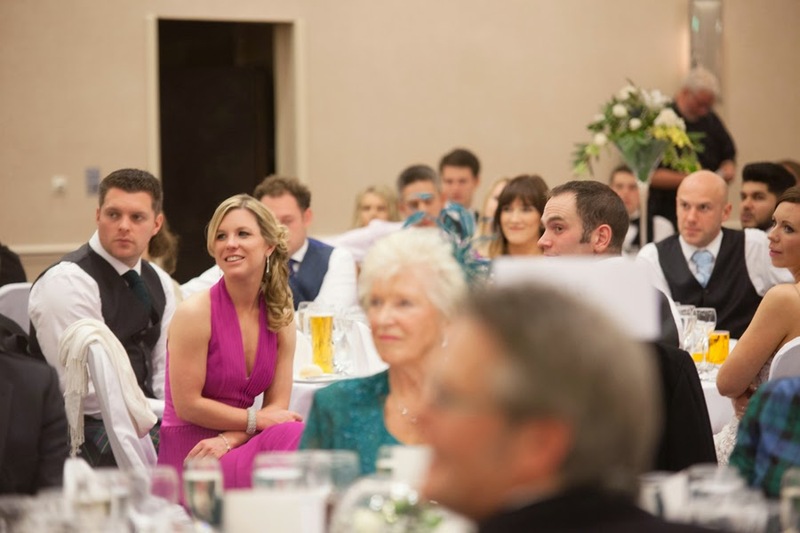 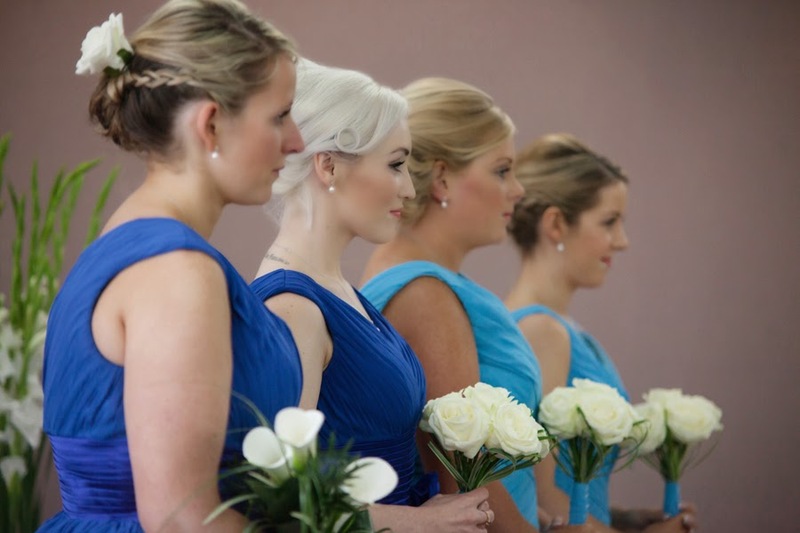 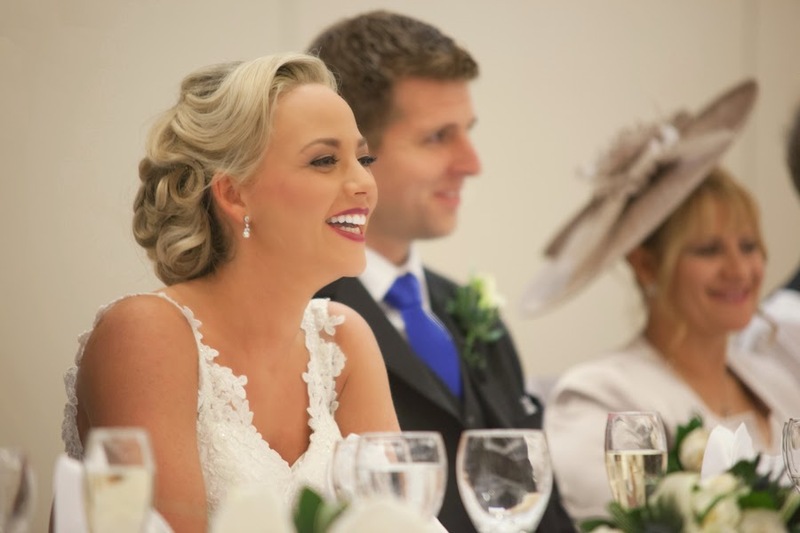 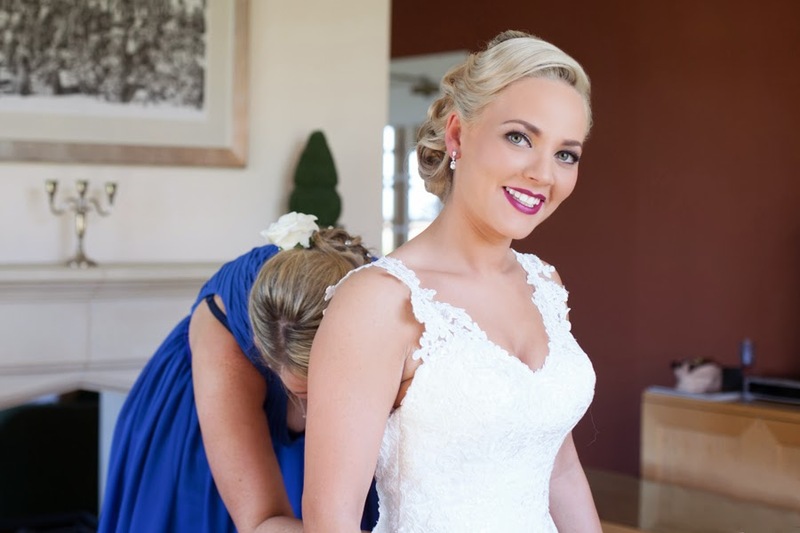 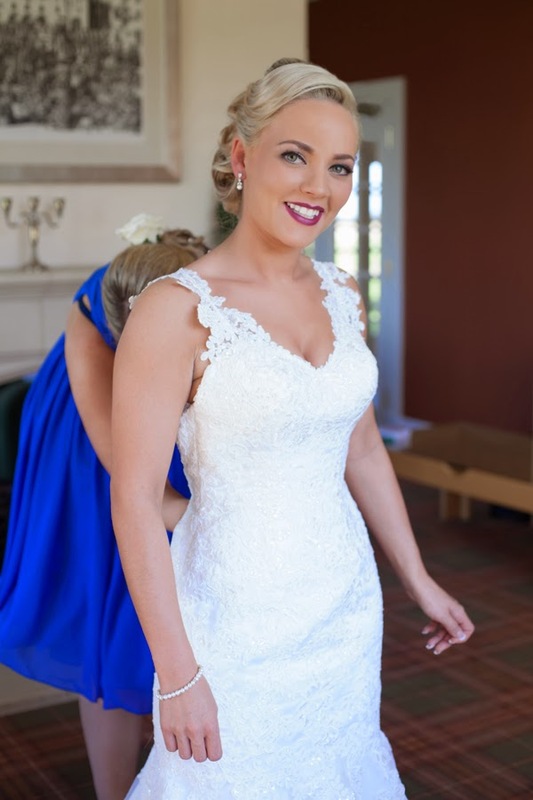 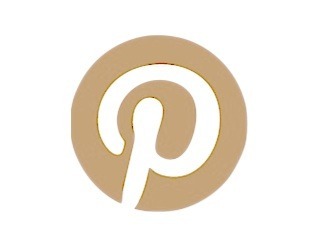 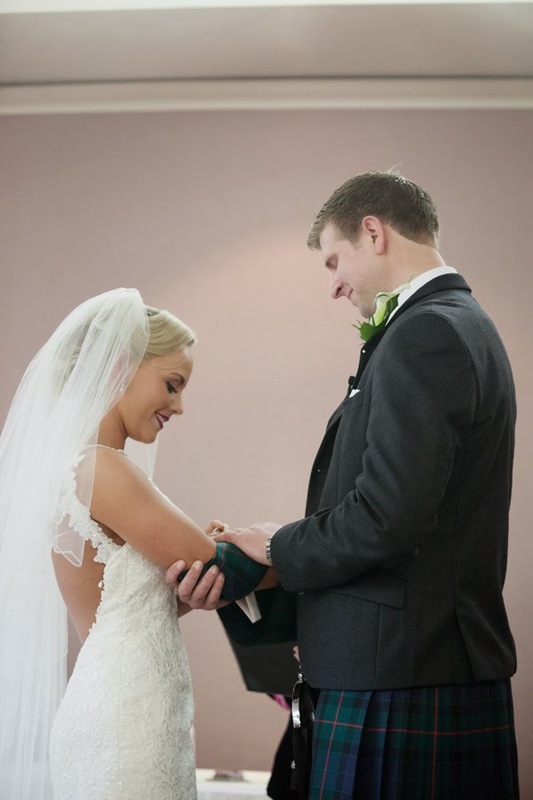 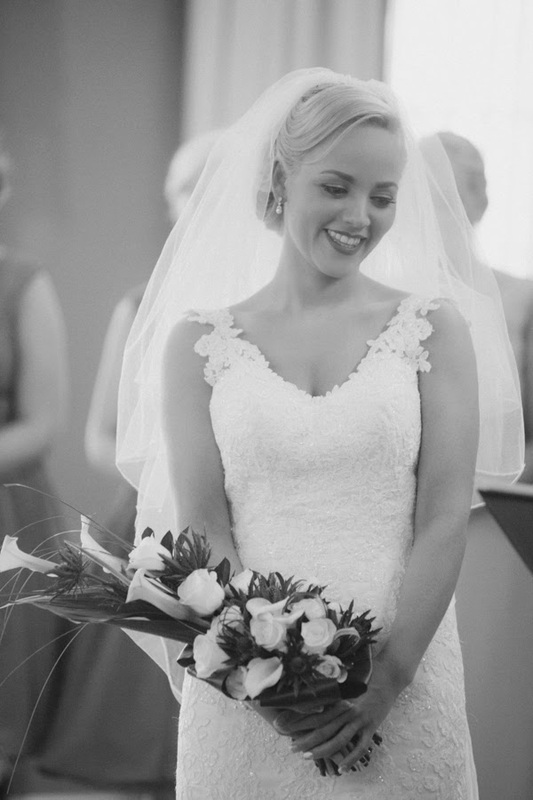 I couldn’t have asked for more for my last wedding of 2014 – you may recognise a few peak from this on my best of 2014 weddings blog. 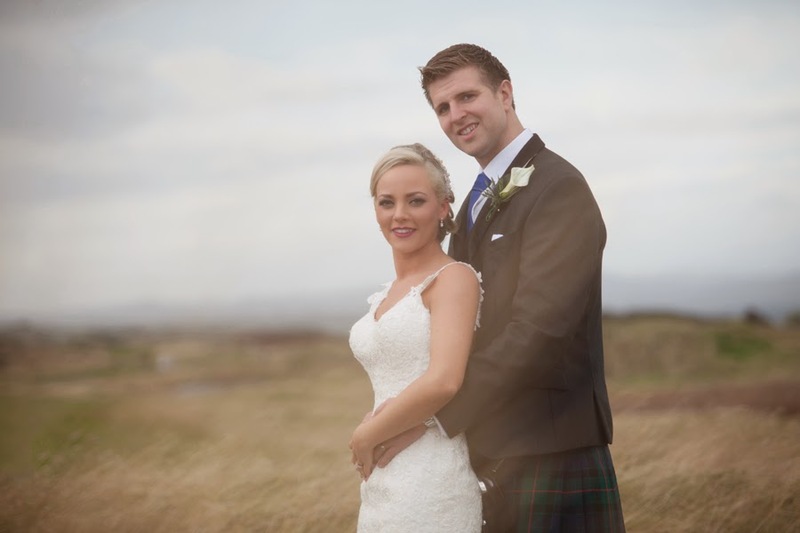 A gorgeous couple, a stunning location and a genuinely fantastic day. 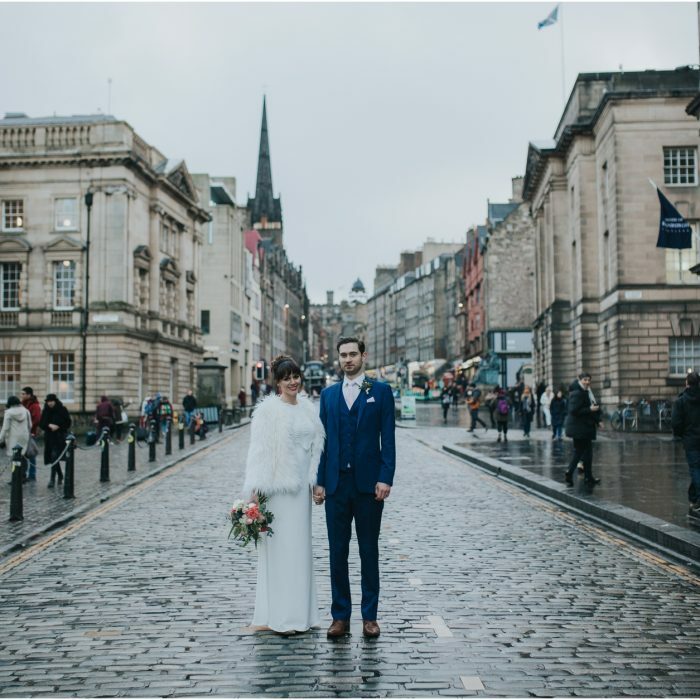 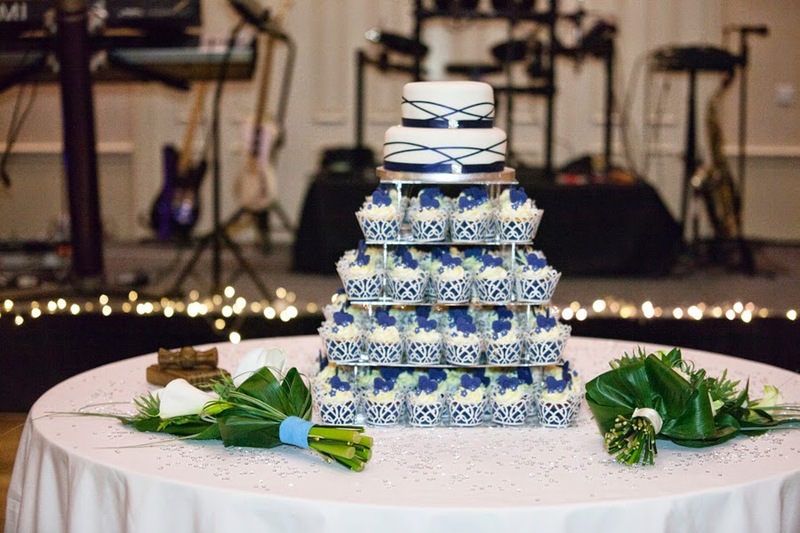 It was also the biggest wedding I have photographed this so far and had Kelly Muir Photography working with me but all the photos on this blog are my own. 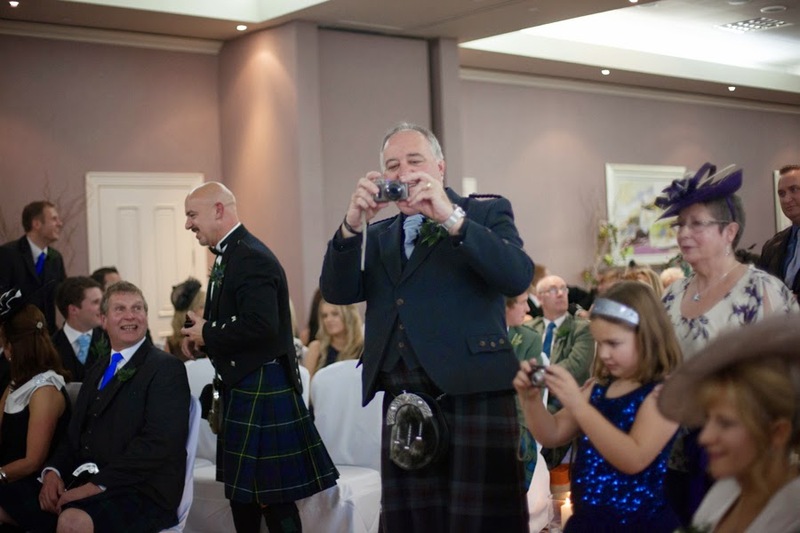 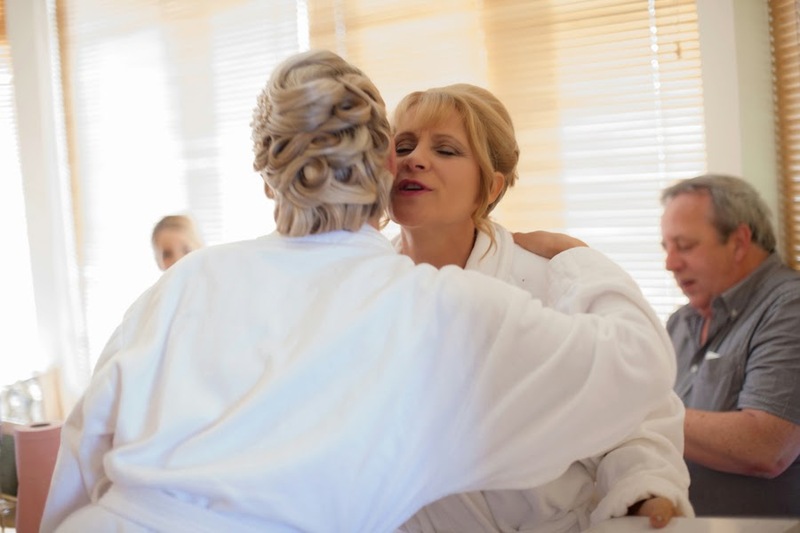 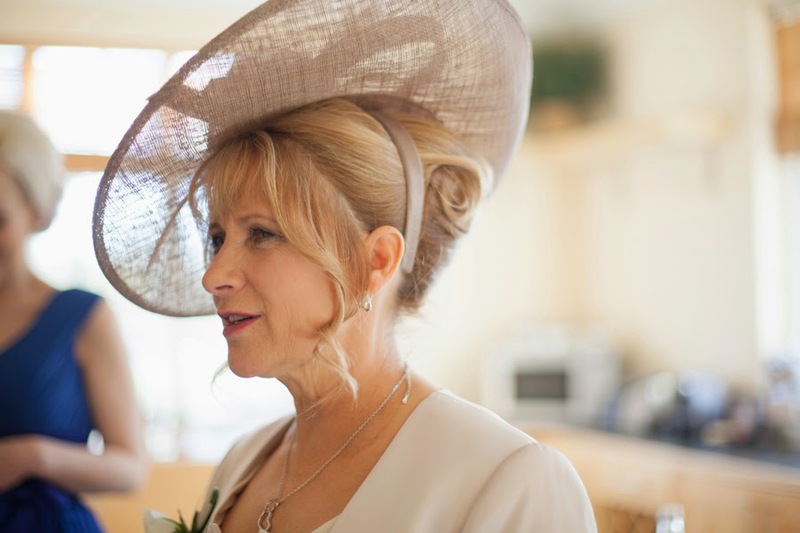 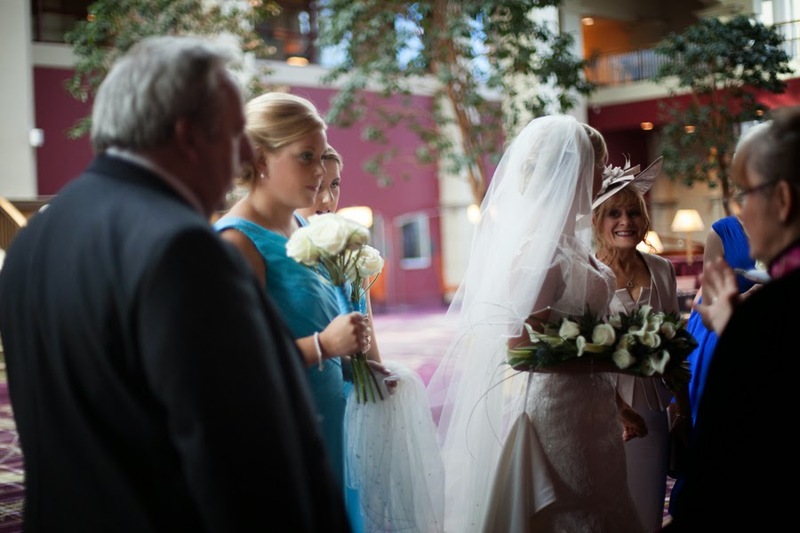 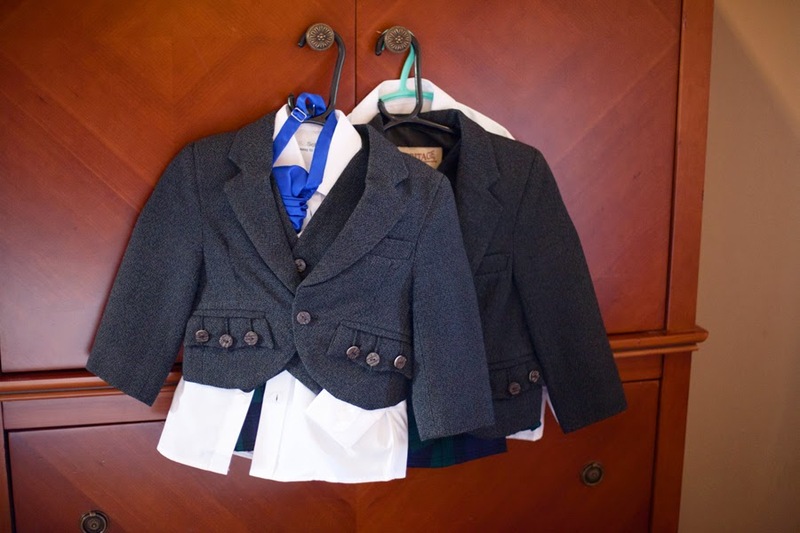 When I photograph weddings I love when I find little special links to my own family. 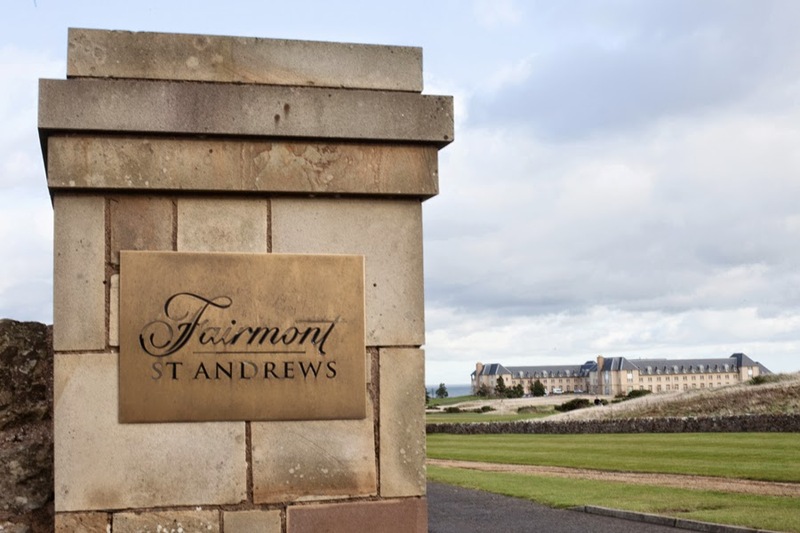 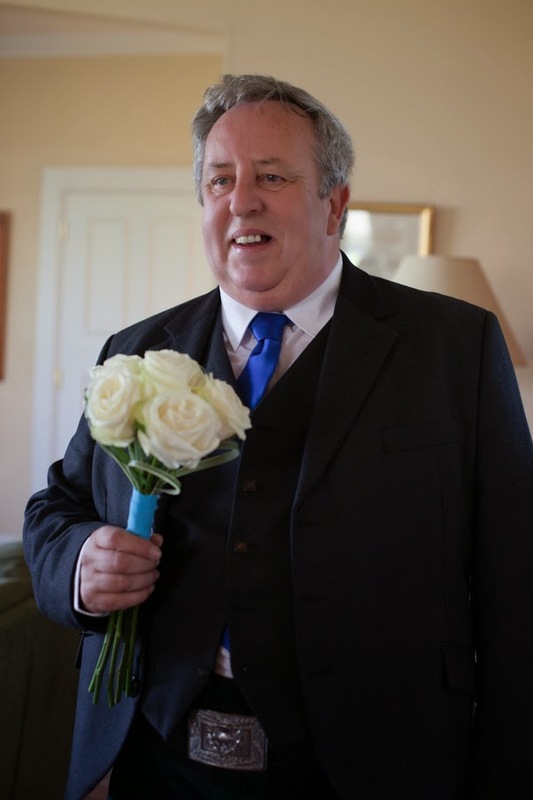 Firstly my dad was born in St. Andrews which I believe is pretty rare as the maternity hospital he was born in no longer exists and secondly I later discovered that some of my dads family are old family friends with the groom John’s having farmed in a similar area. 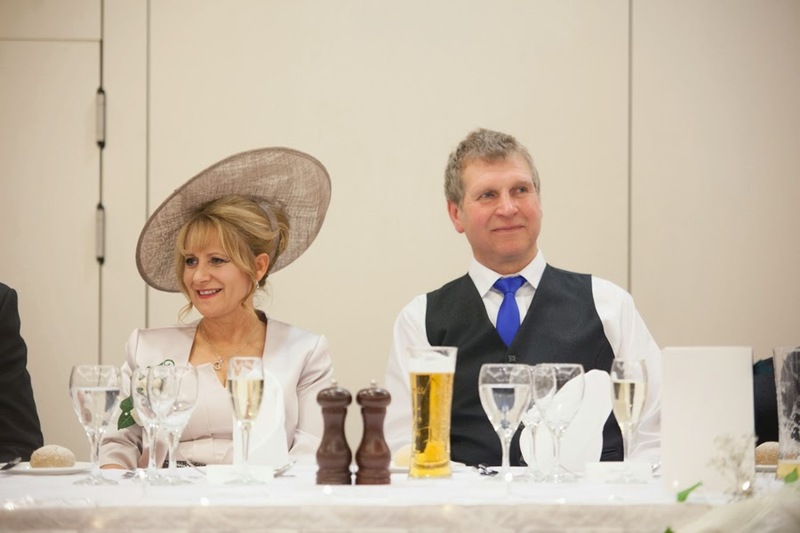 It really is a small world! 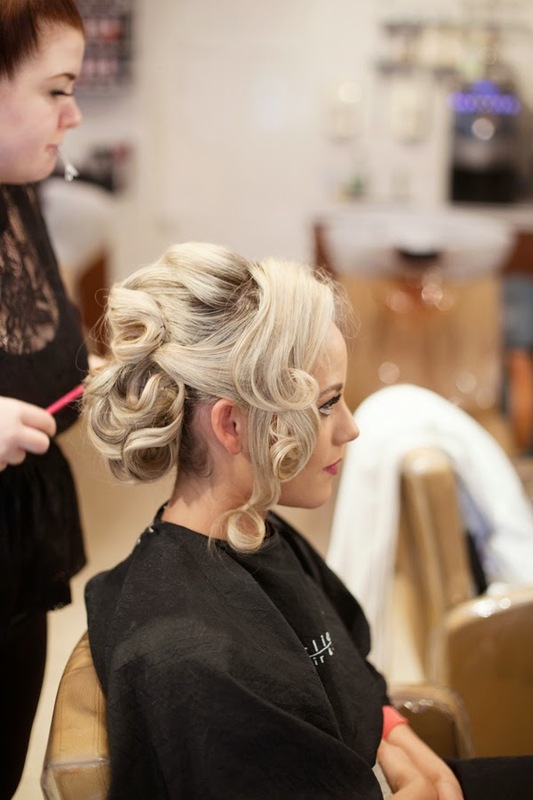 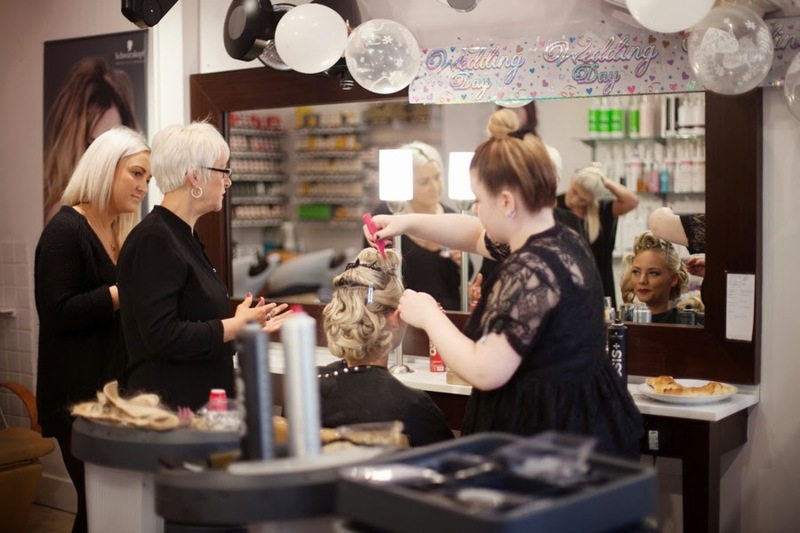 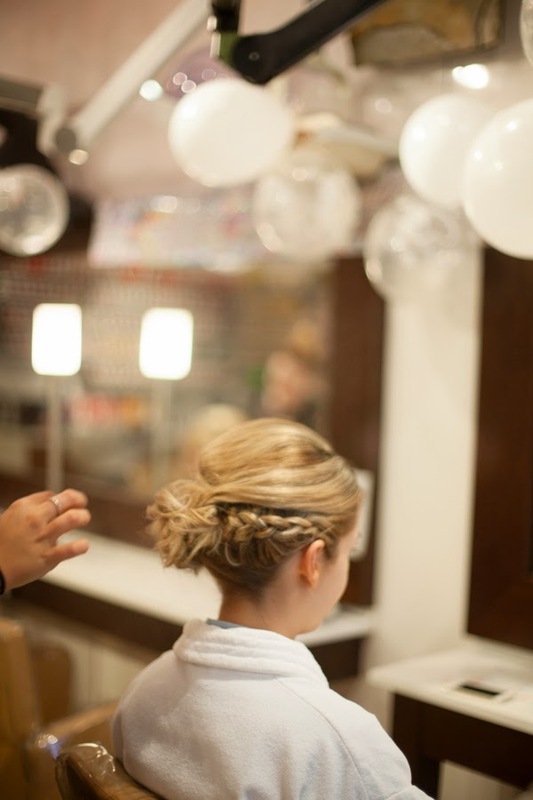 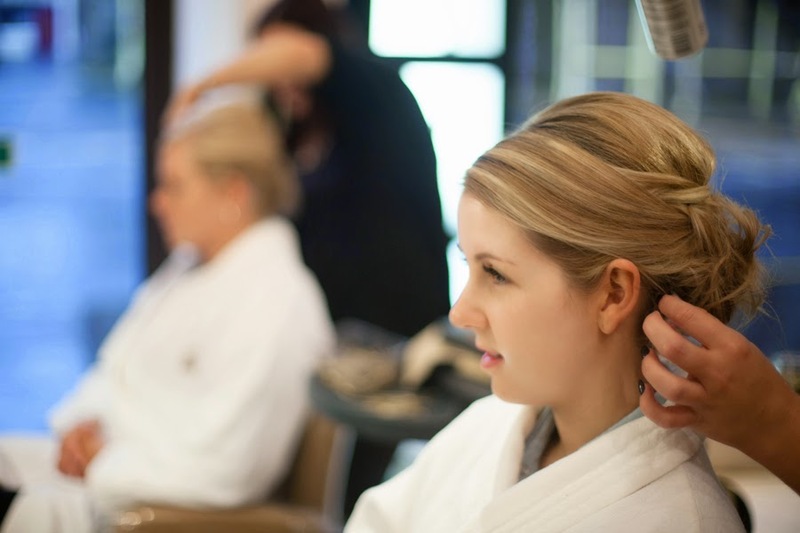 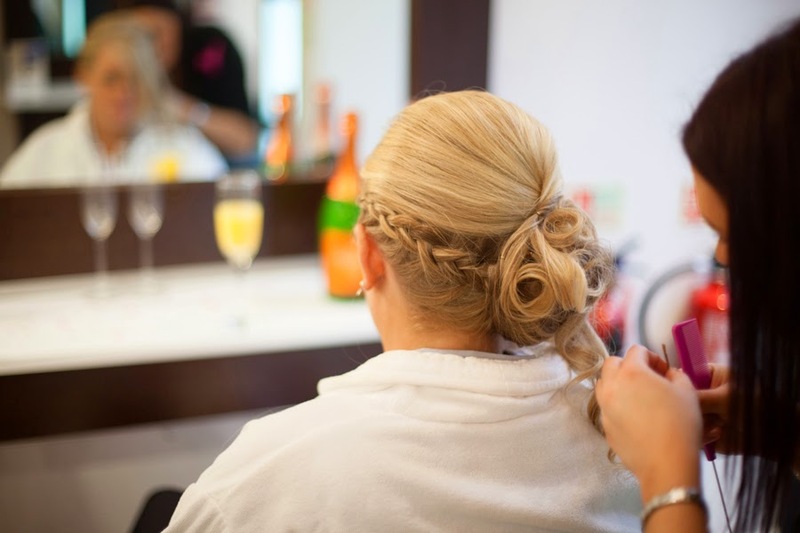 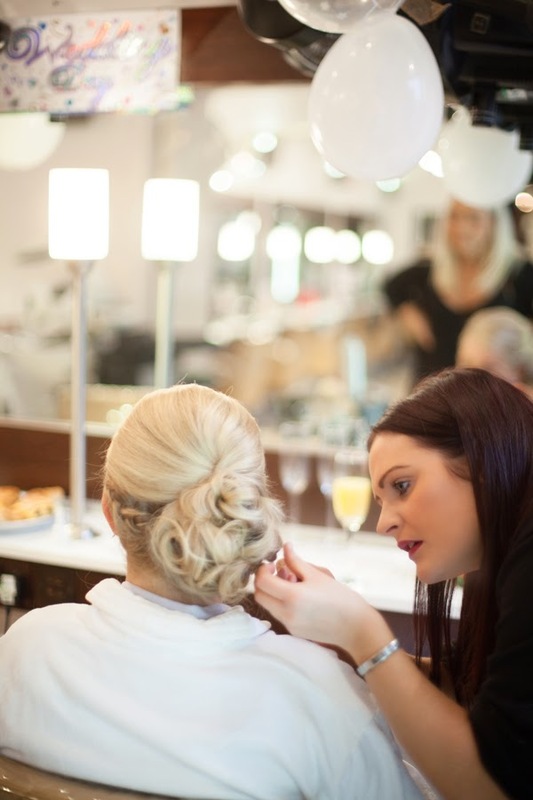 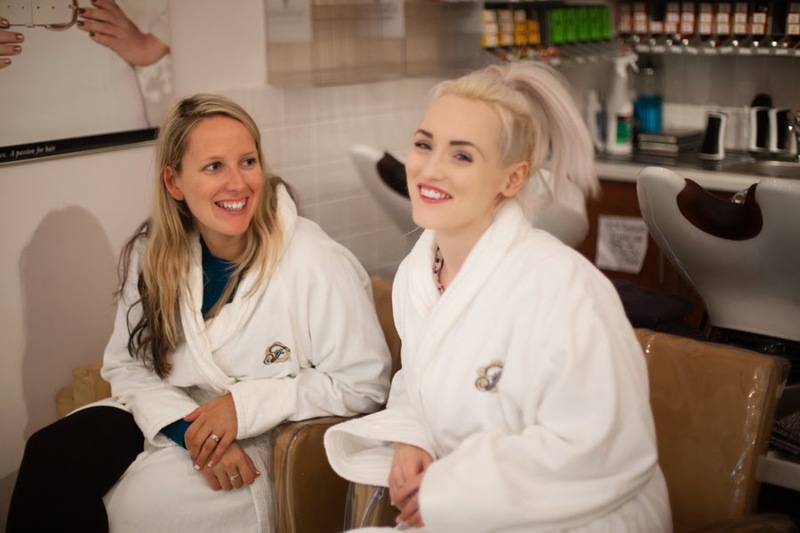 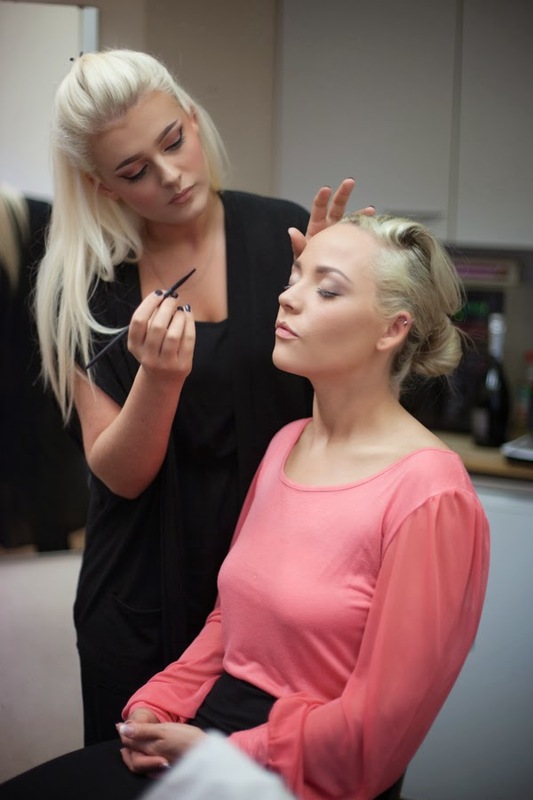 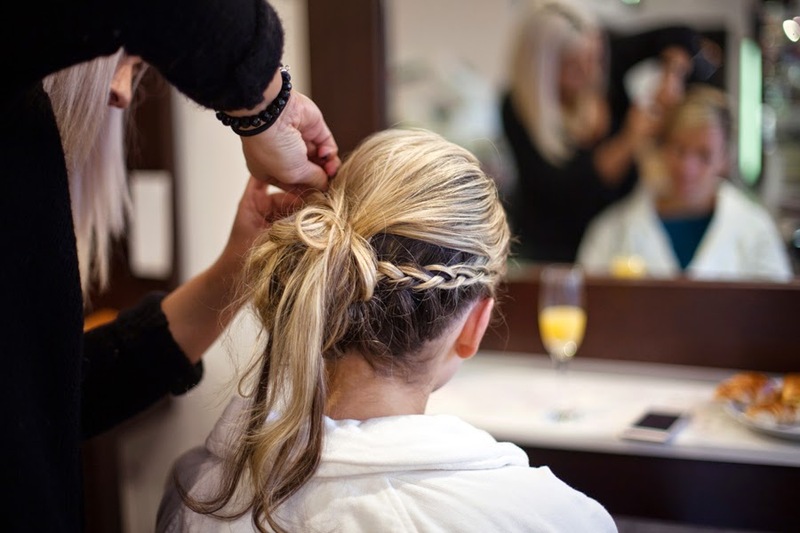 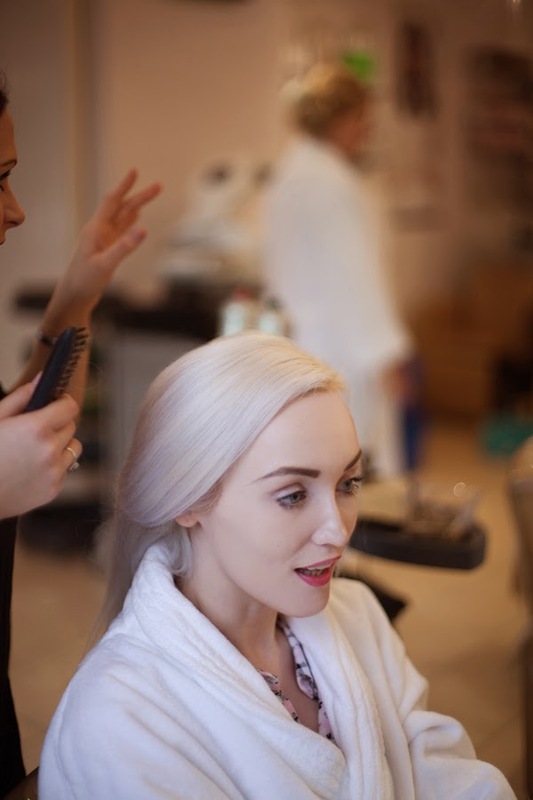 Firstly it was to Charlie Taylor Salon with the girls whilst they got their hair done. 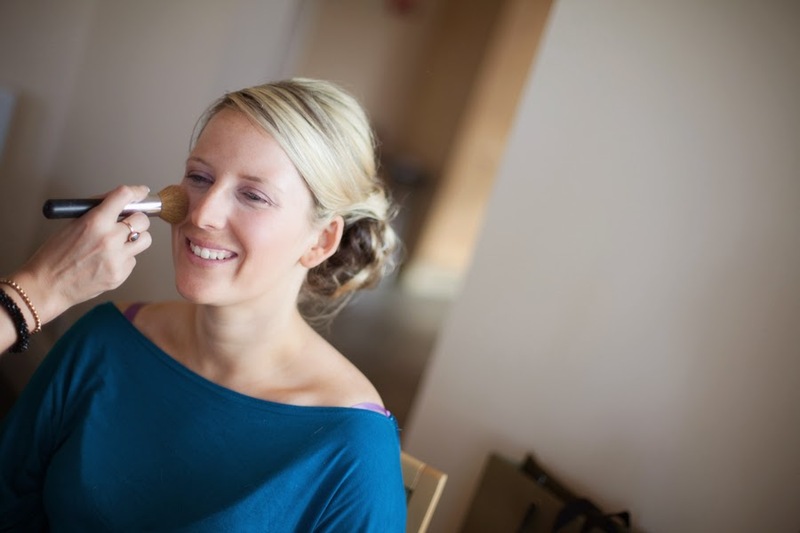 Jen also had her make-up done at the salon. 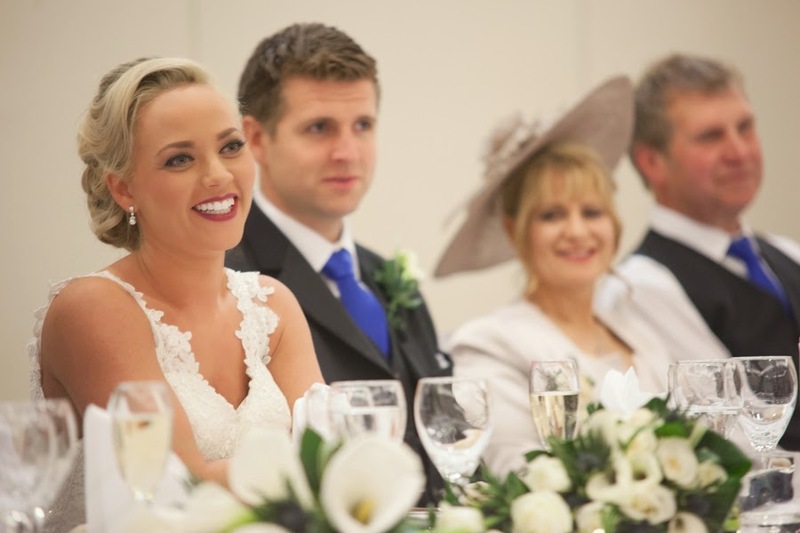 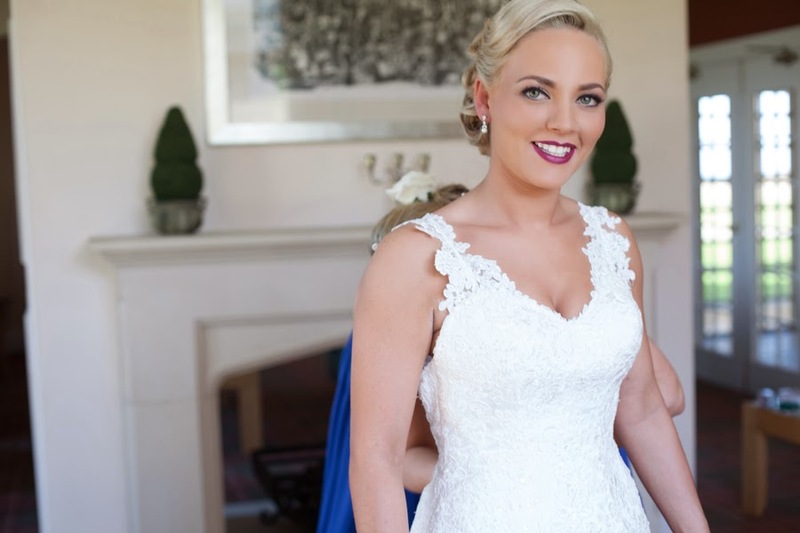 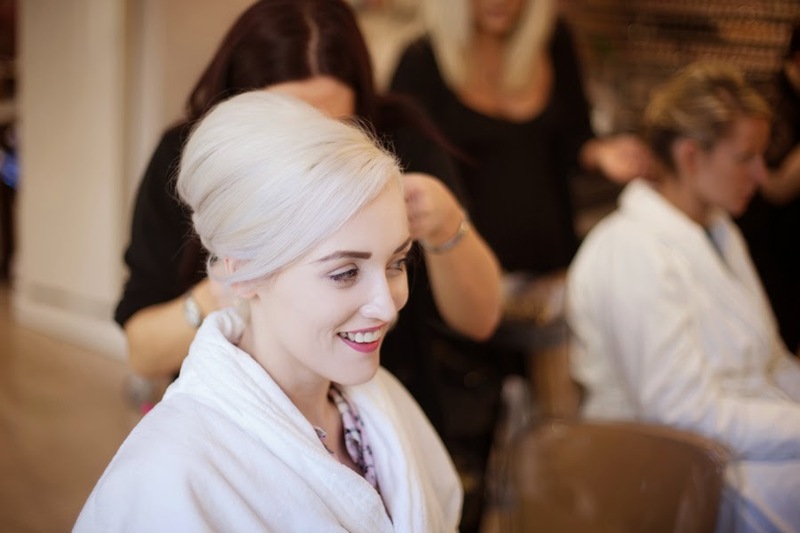 I loved the lip colour Jen Went for – Mac Rebel, such a perfect and striking shade especially for an Autumn wedding. 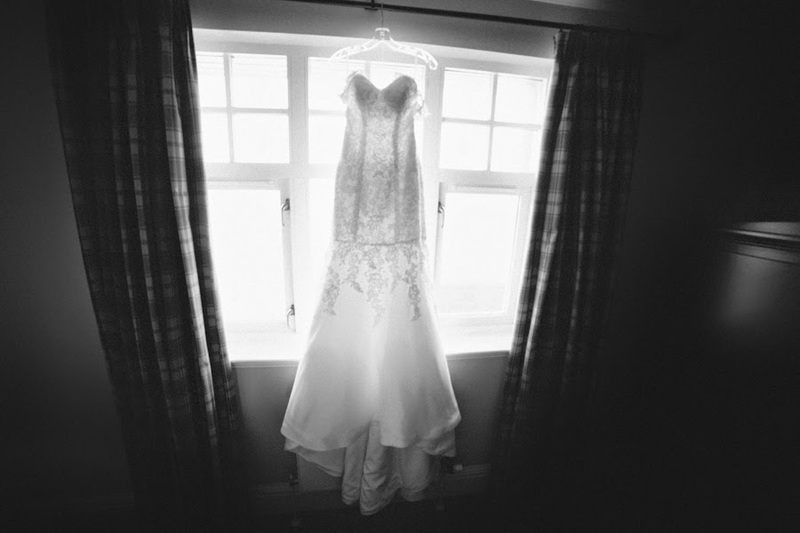 Whilst Kelly photographed the boys I went with the girls to Fairmont whilst they finished getting ready in one of the gorgeous manor houses which was the perfect setting. 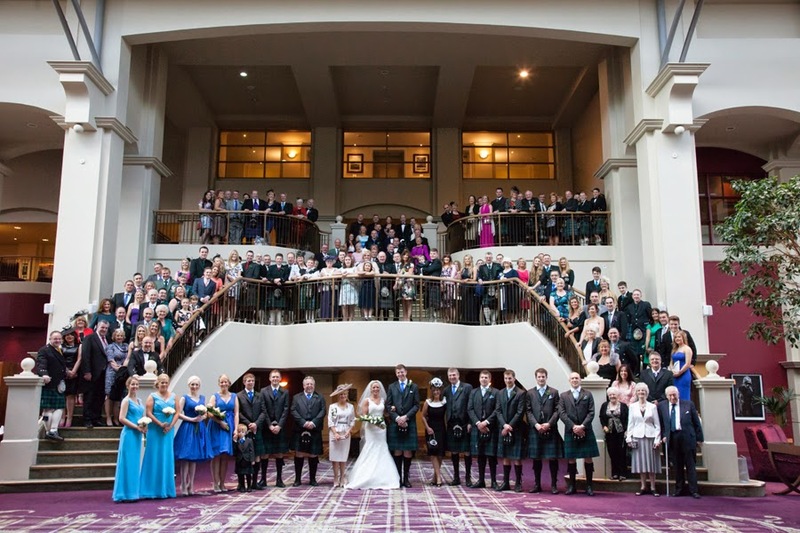 It was then up the the main part of Fairmont for the wedding ceremony. 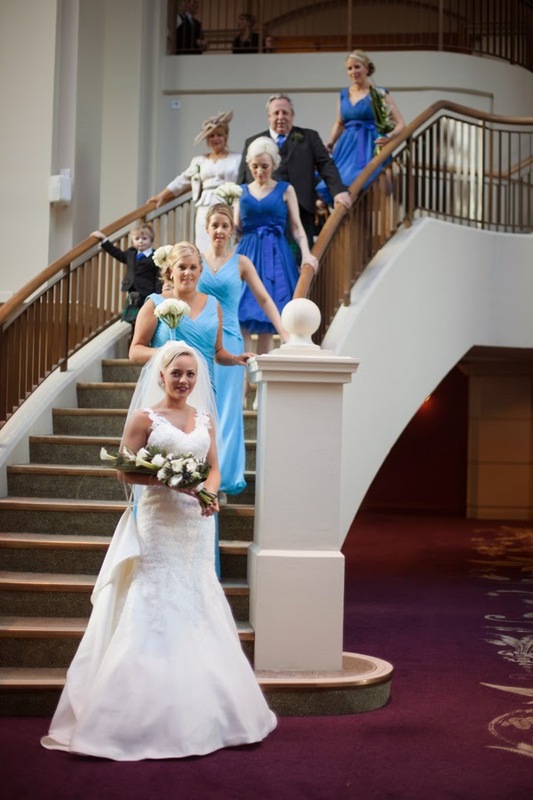 I then shot a whole group shot on the main staircase and managed to get all the guests in! 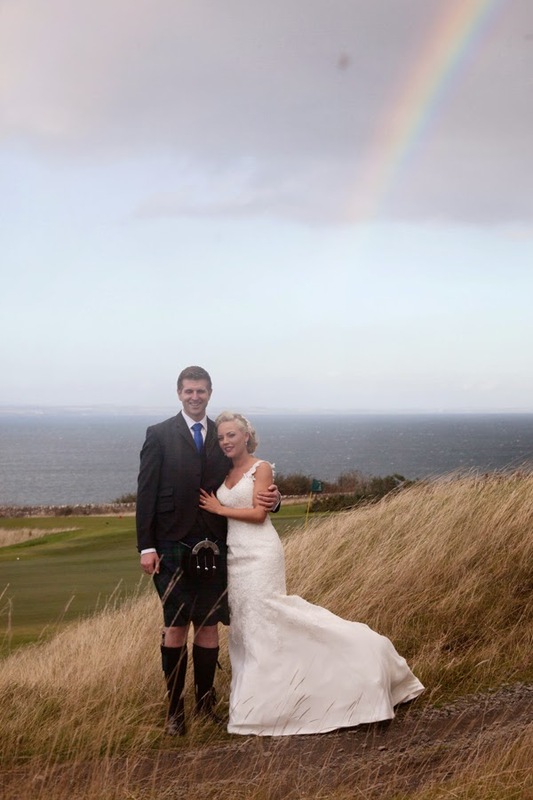 I then went down to the golf course to take some couple shots of Jen and John who were both total troupers with the wind, then the rain then a rainbow which was pretty magical. 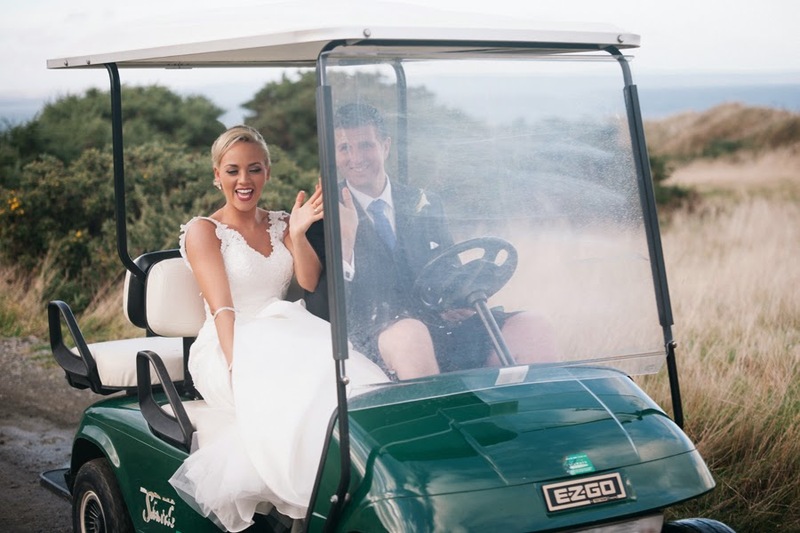 We then had a giggle on the golf buggy on the way back to the main venue. 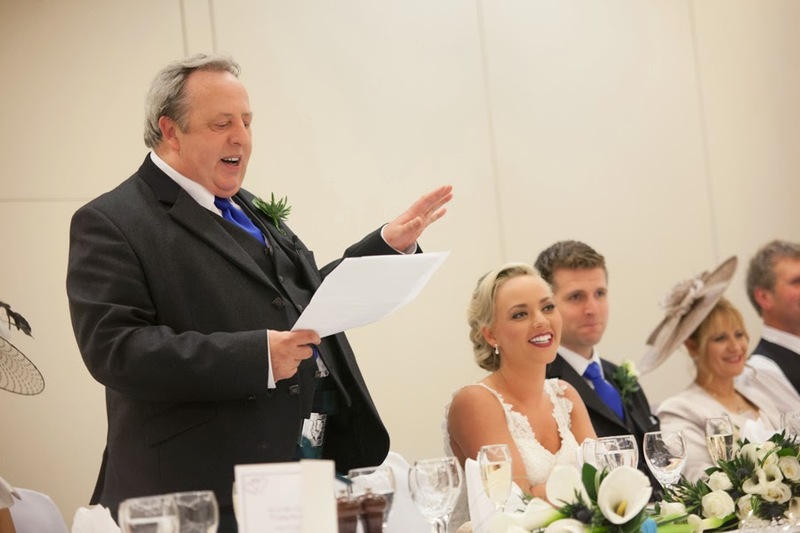 It was then time for speeches!